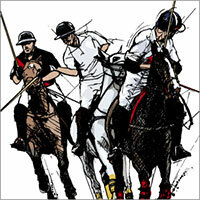 plus not-to-be-missed exclusive live sporting entertainment. 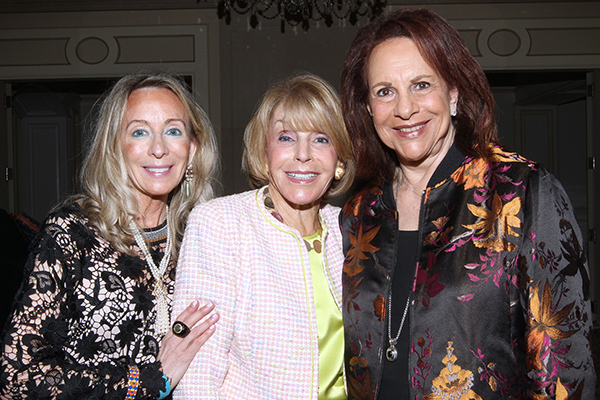 Co-chaired by Patsy Spero and Pamela Higer-Polani, Esq.. Honorary Chair: Gail Worth. 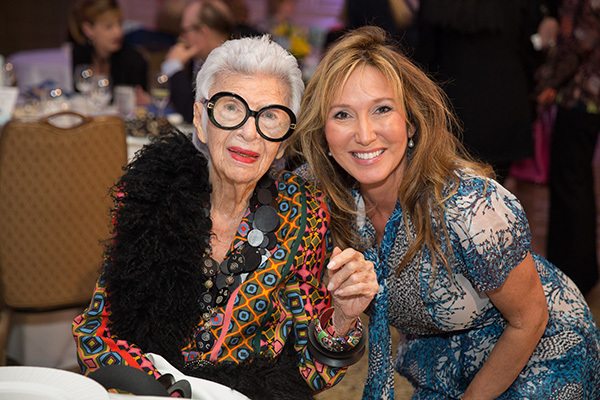 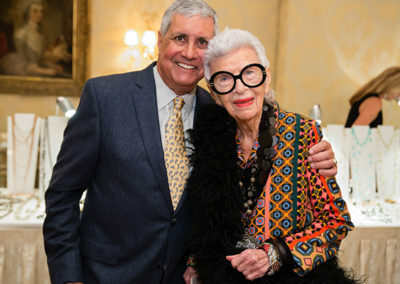 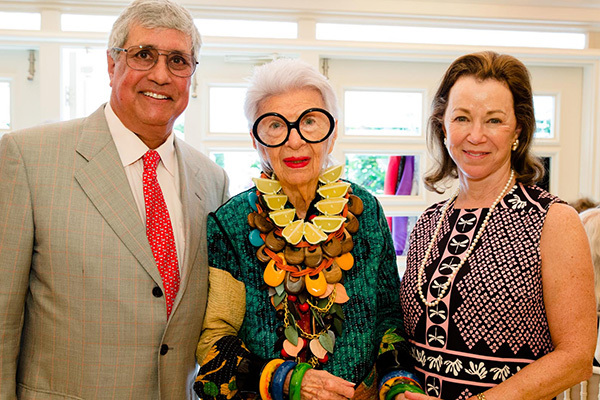 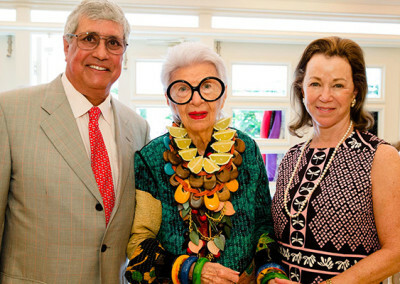 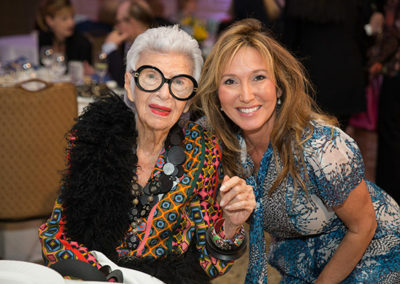 Grand Chair: Iris Apfel. 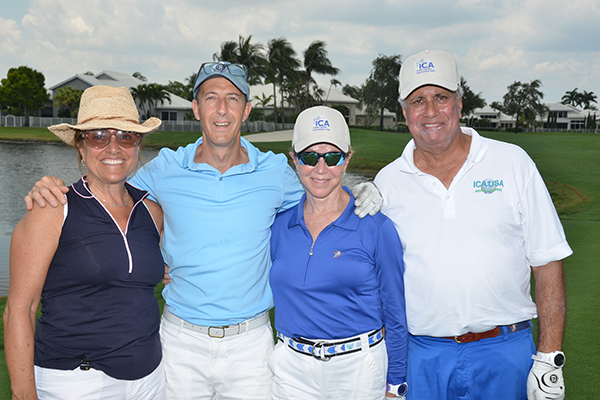 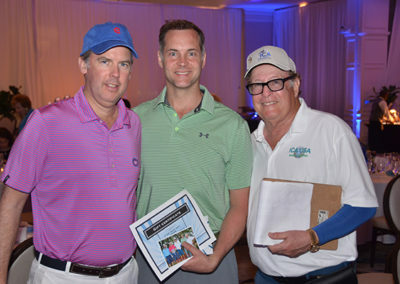 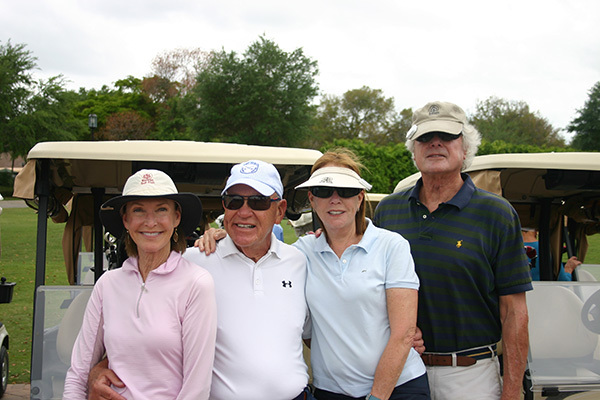 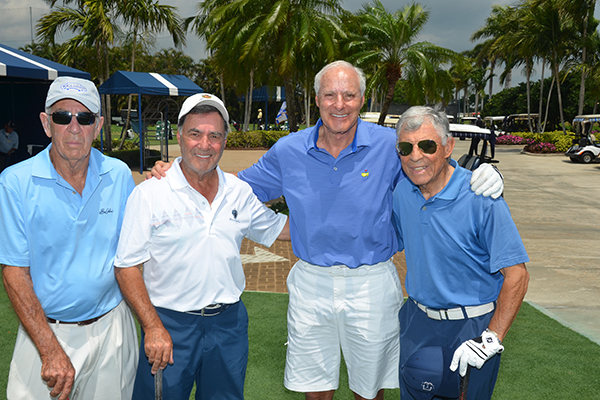 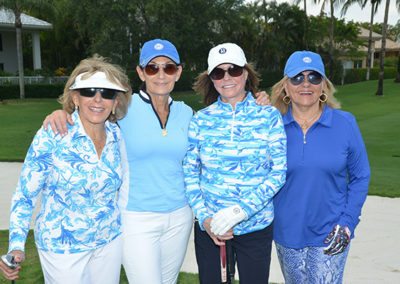 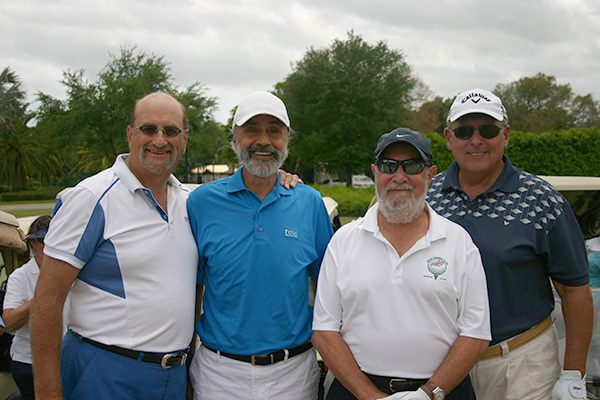 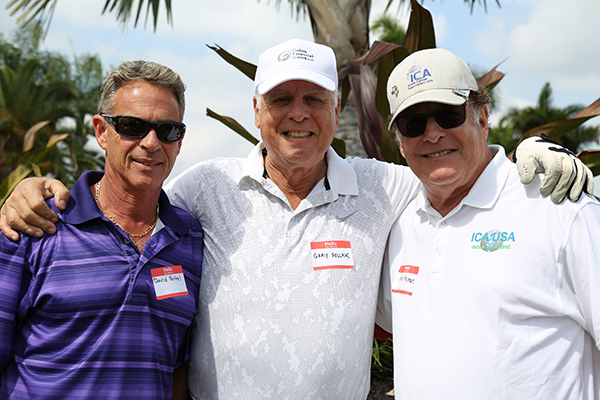 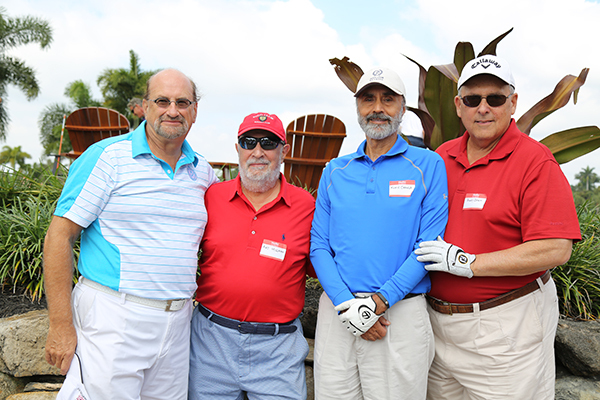 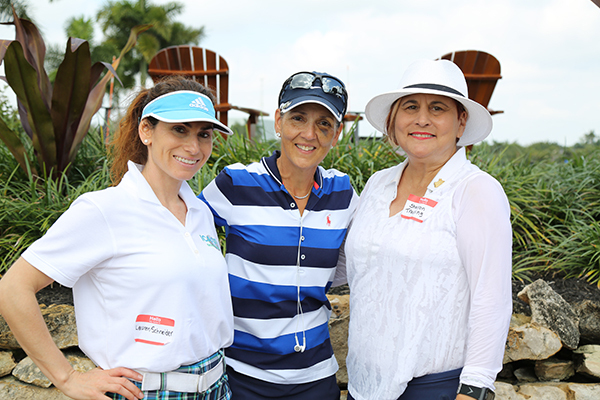 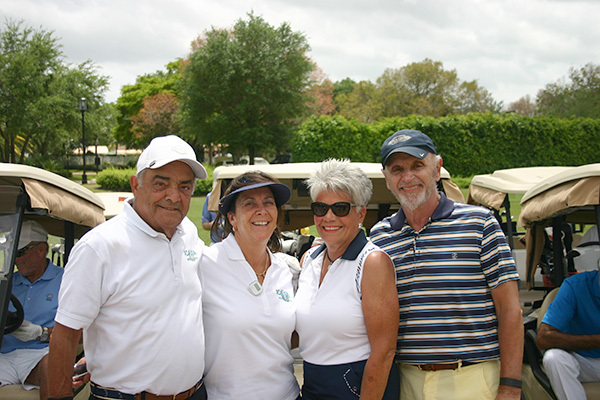 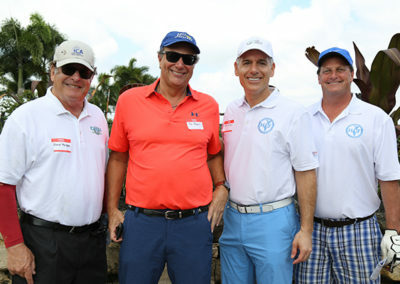 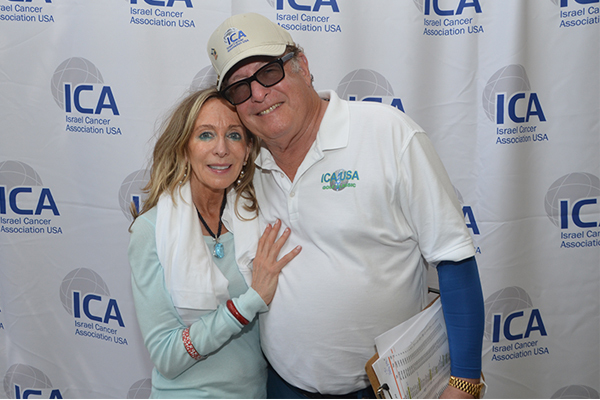 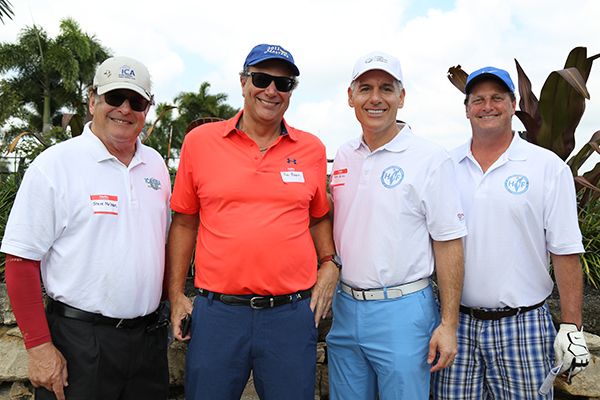 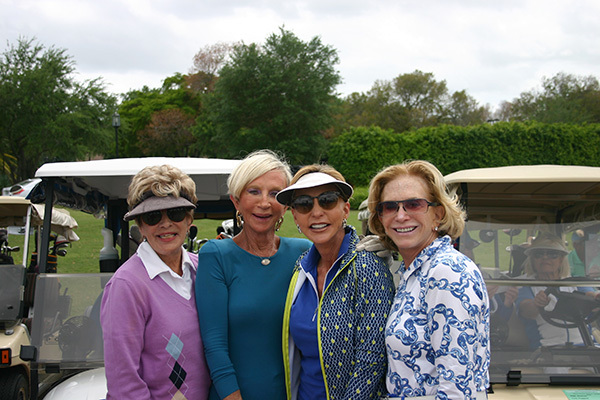 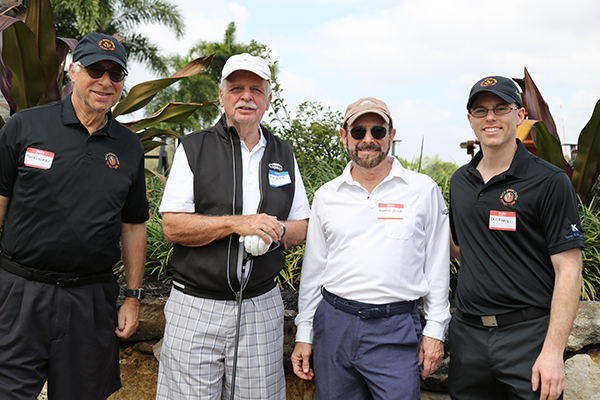 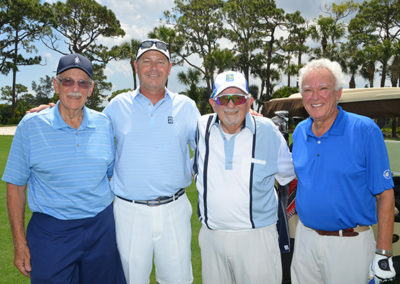 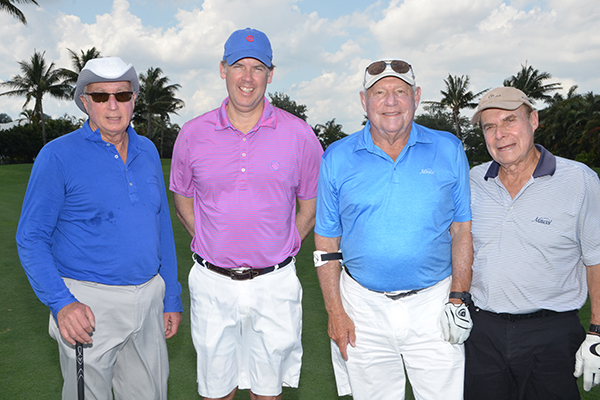 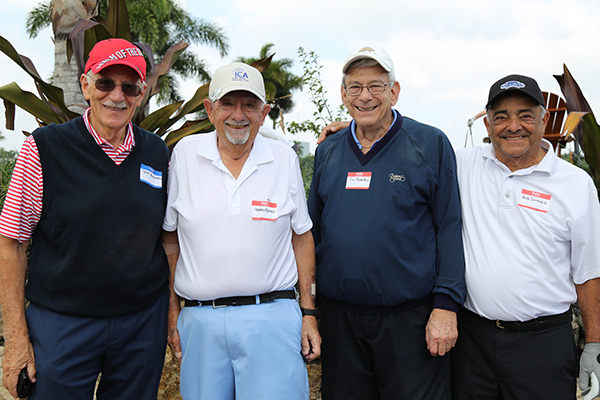 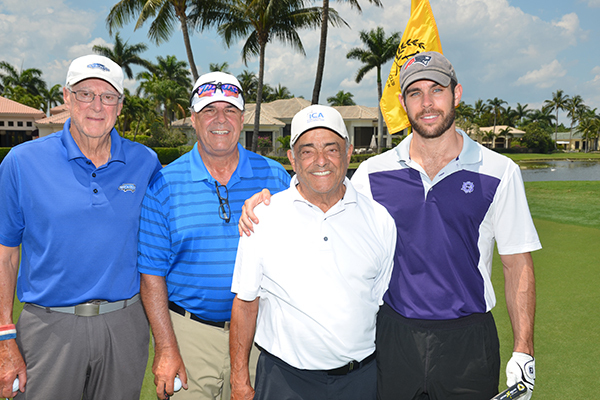 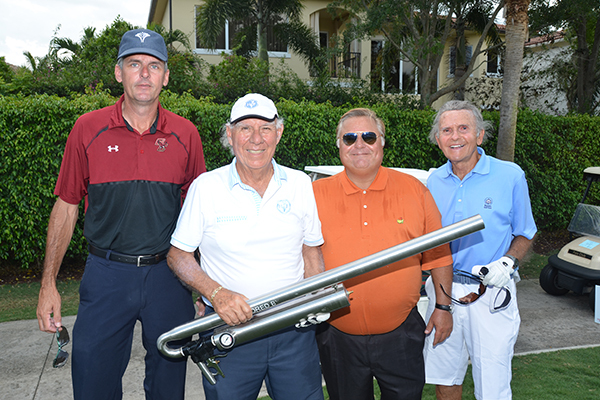 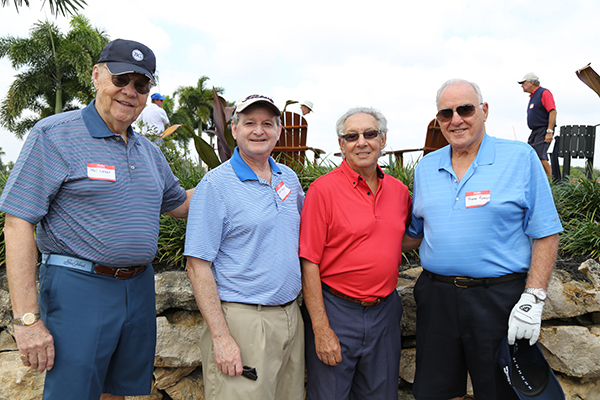 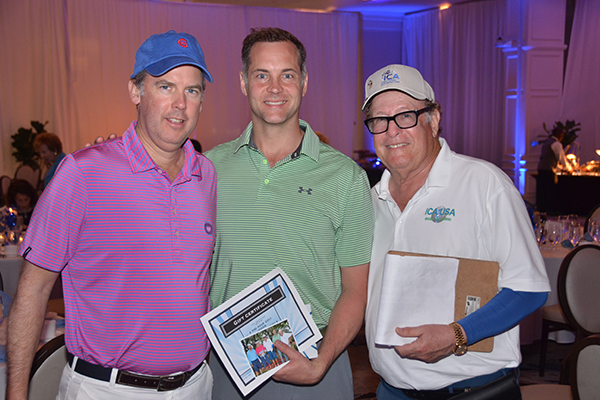 April 9, 2018, Boca Raton Florida – 86 enthusiastic golfers from Palm Beach County joined together for the Israel Cancer Association USA (ICA USA) 9th Annual Golf Classic held at the Polo Club of Boca Raton. 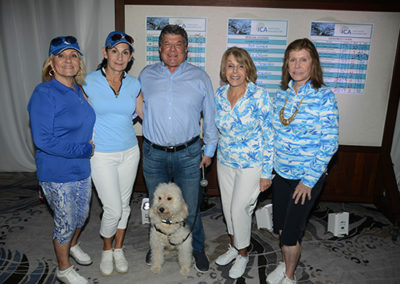 The theme of the day was “Around Israel in 18 Holes” with each hole highlighting cancer research by ICA funded scientists. 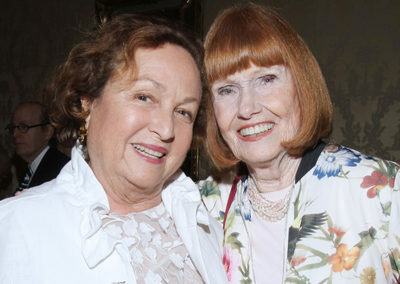 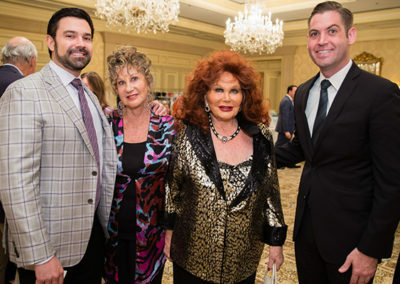 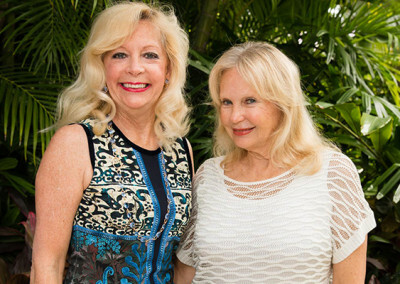 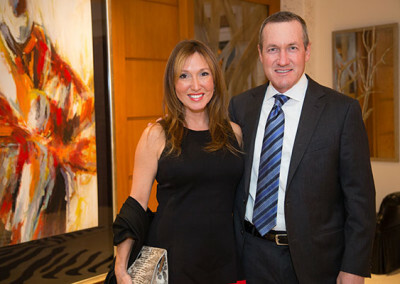 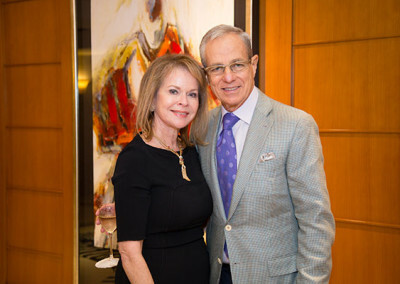 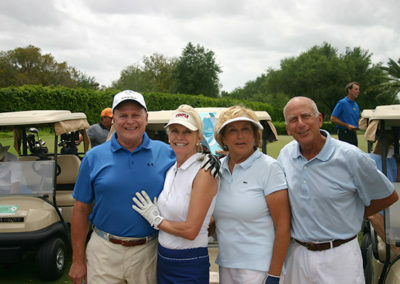 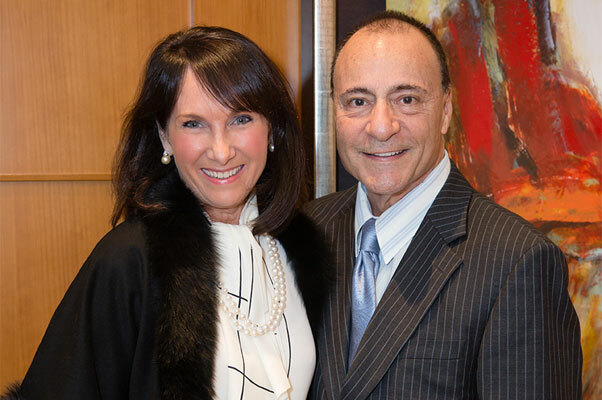 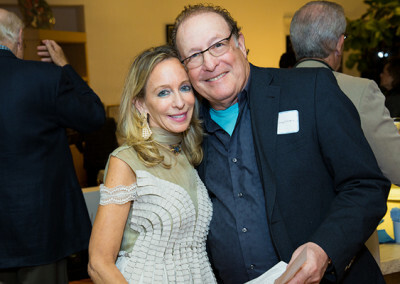 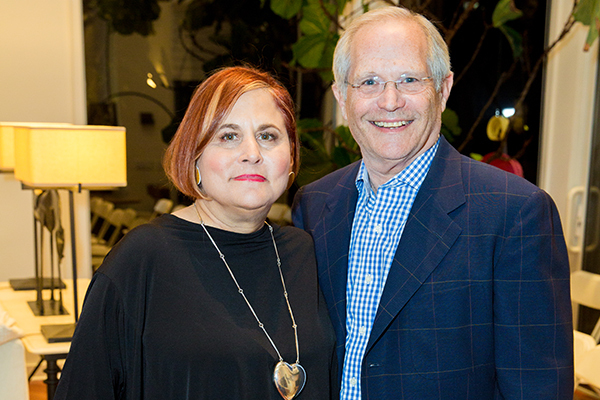 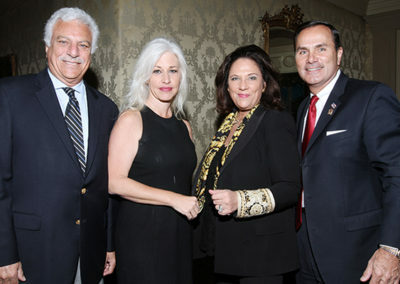 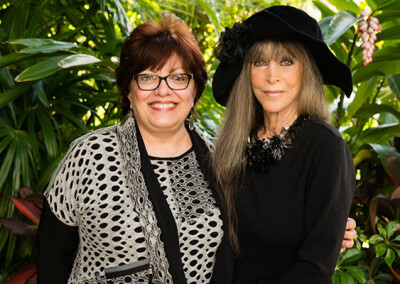 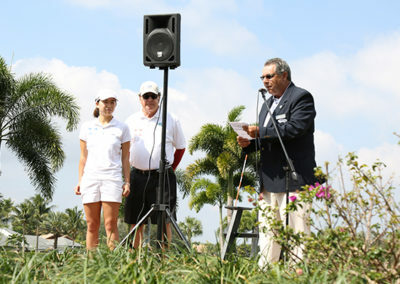 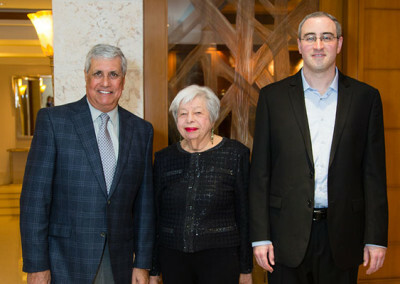 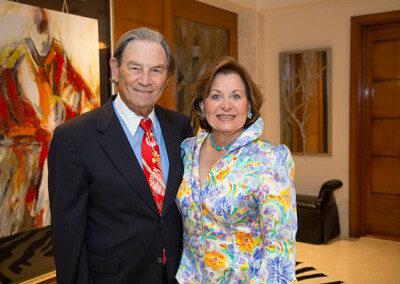 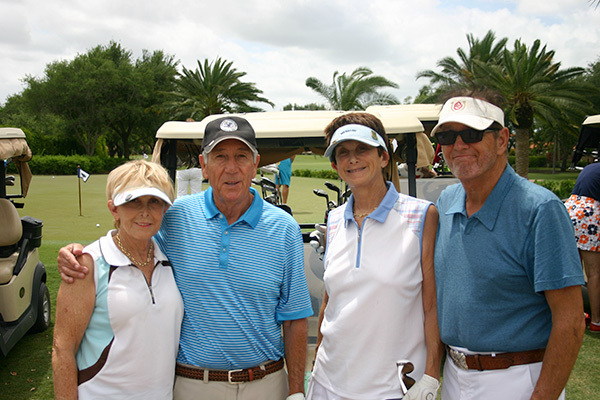 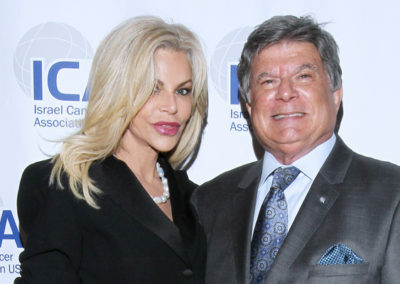 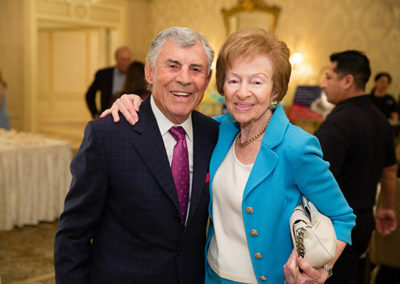 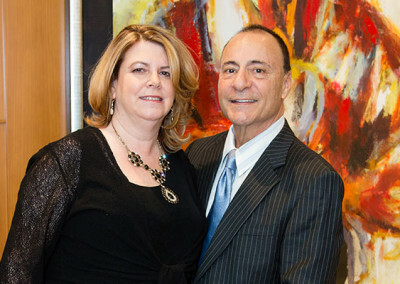 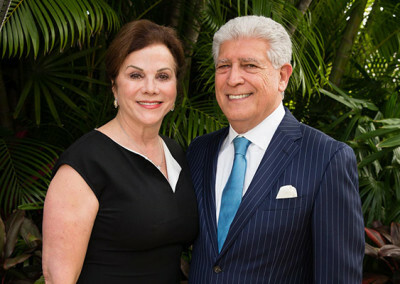 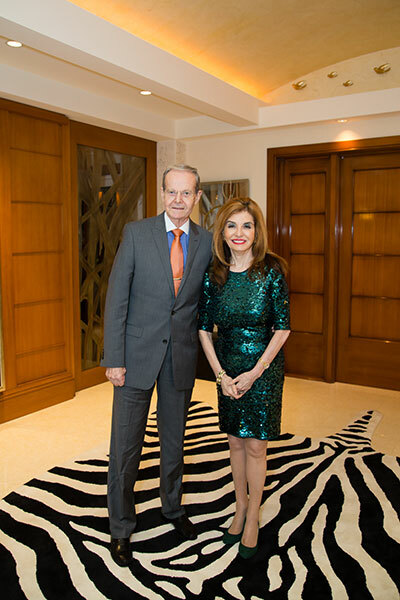 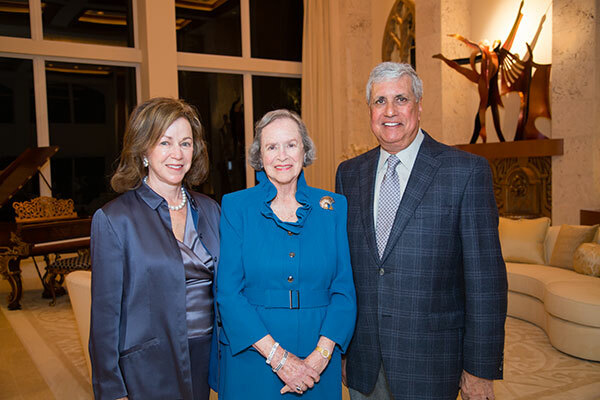 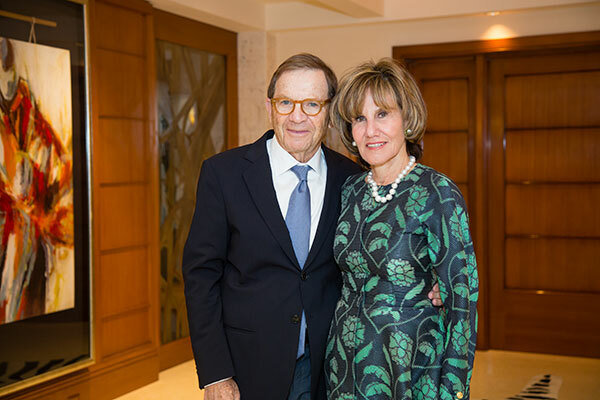 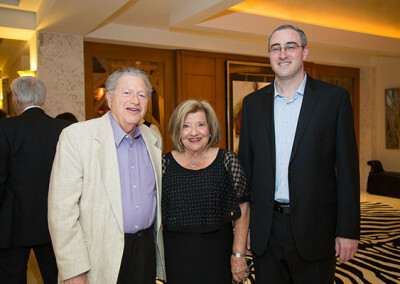 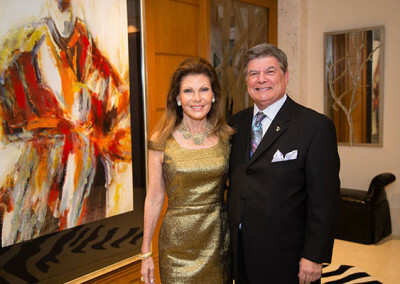 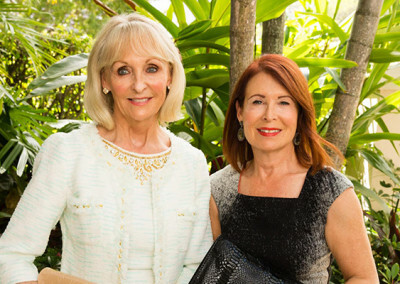 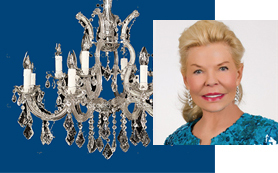 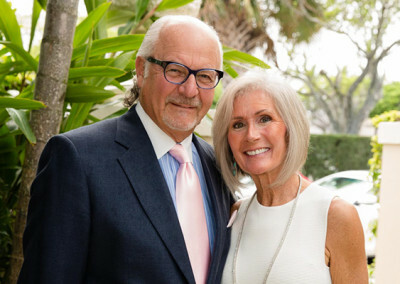 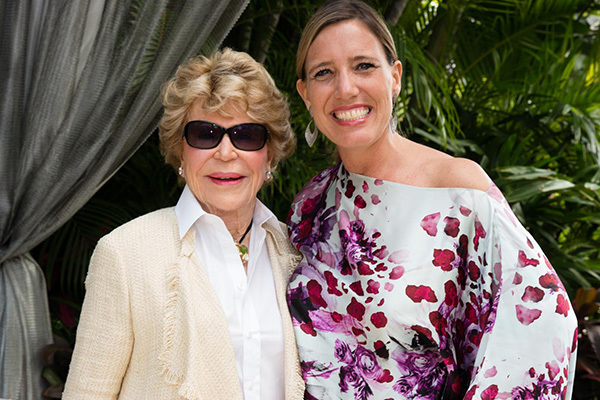 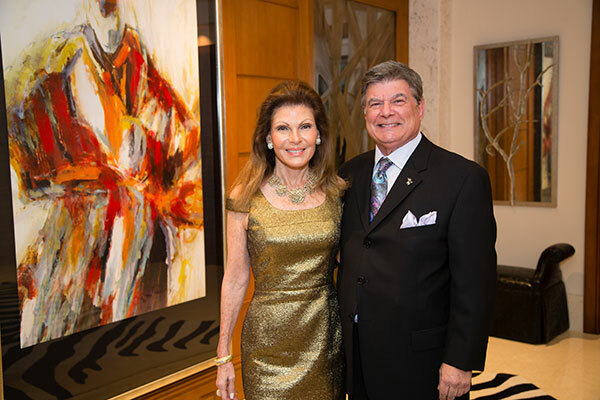 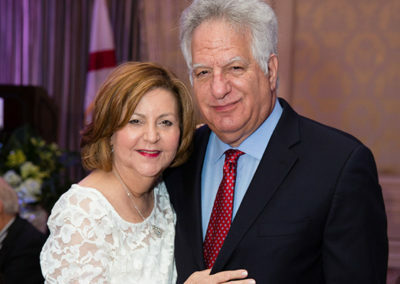 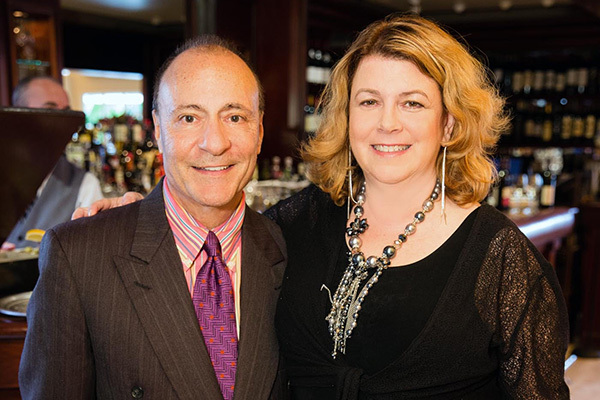 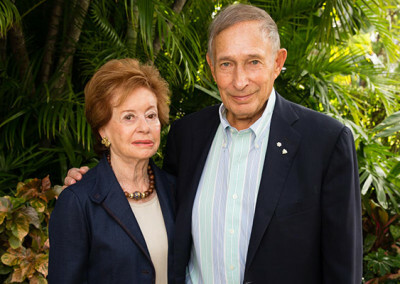 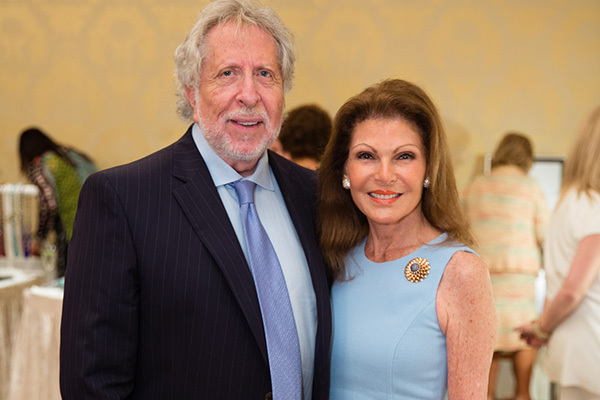 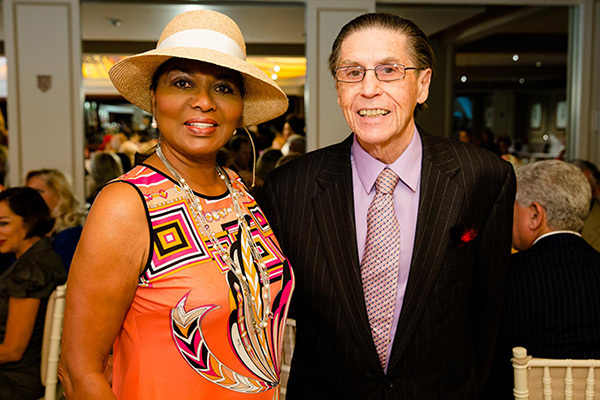 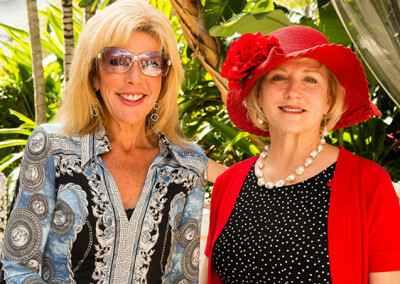 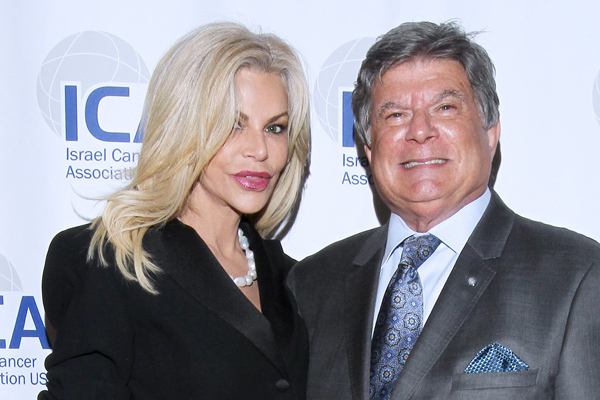 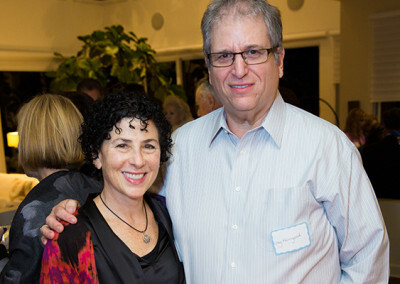 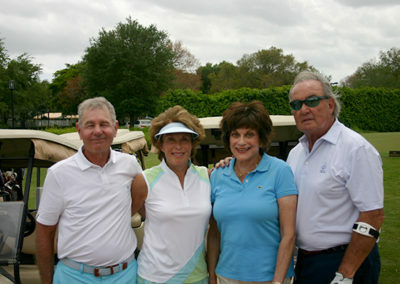 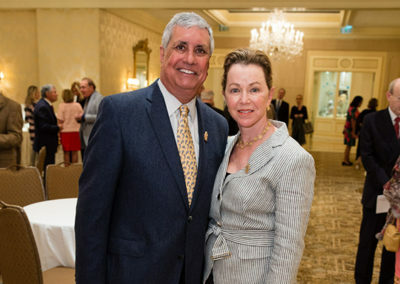 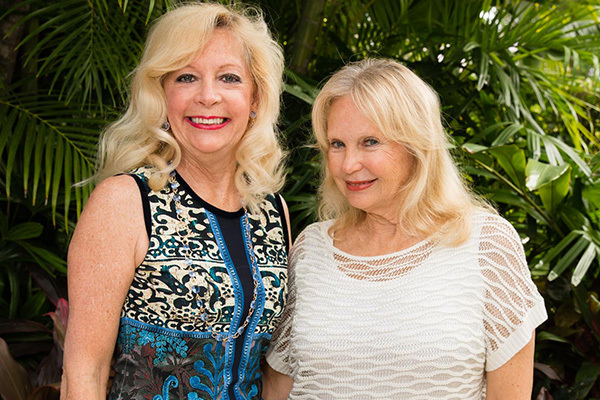 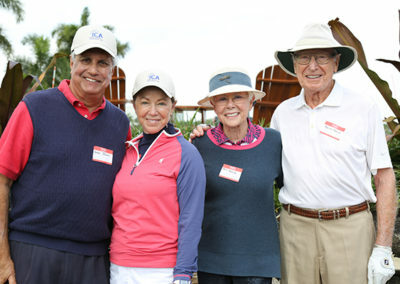 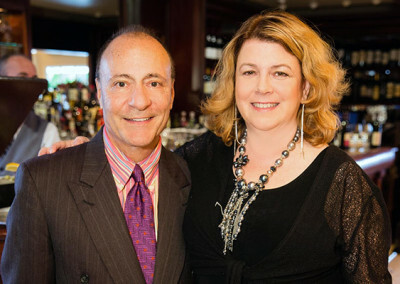 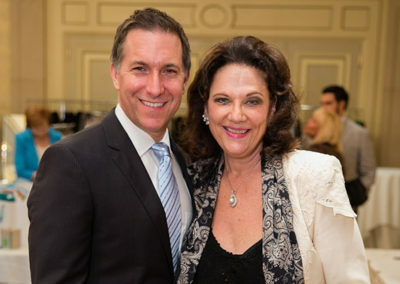 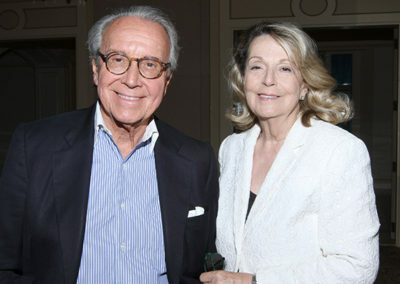 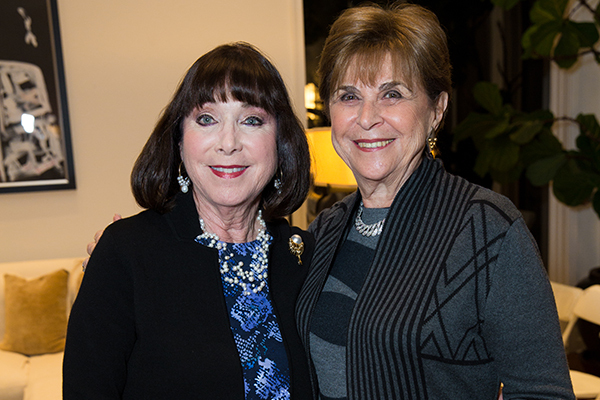 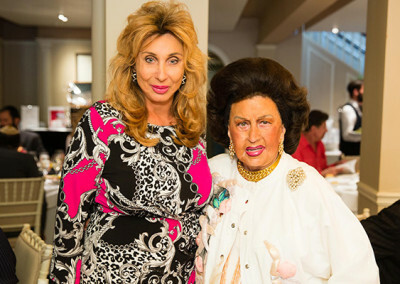 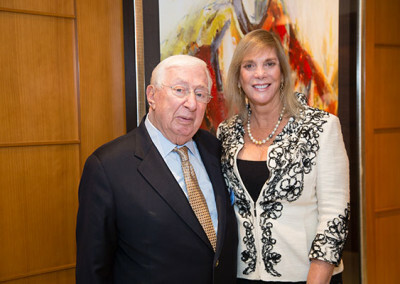 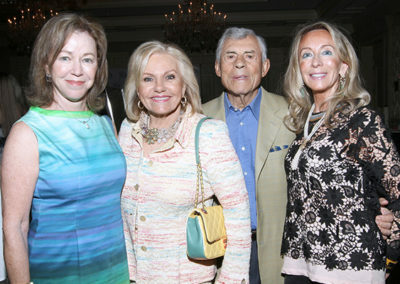 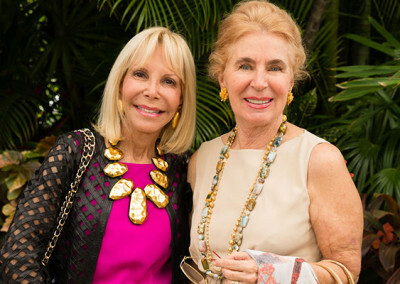 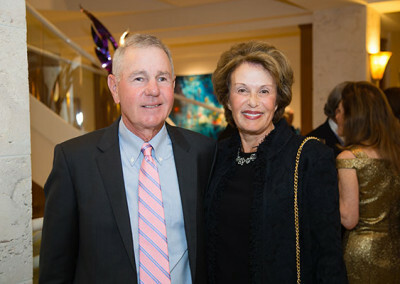 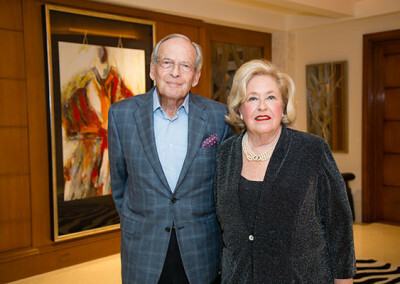 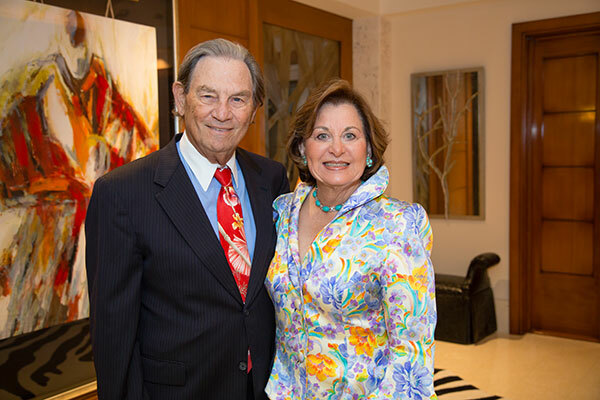 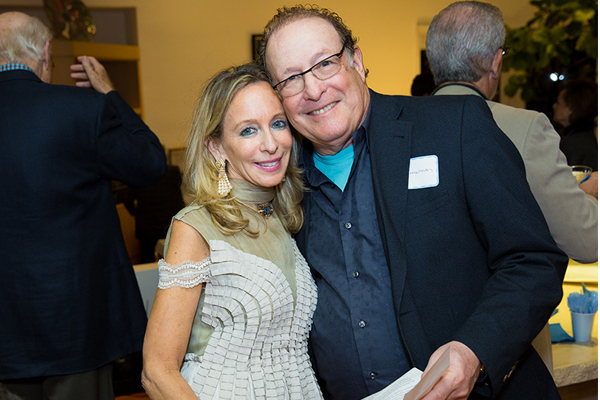 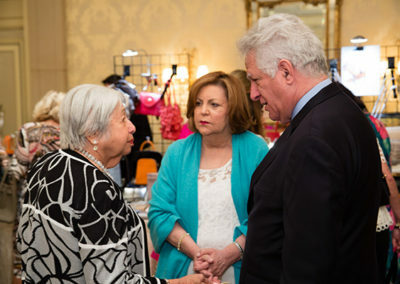 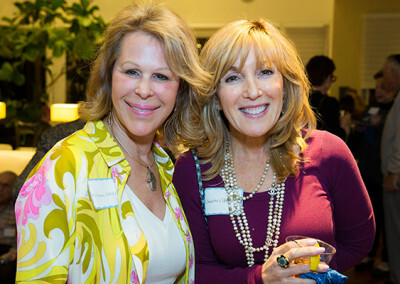 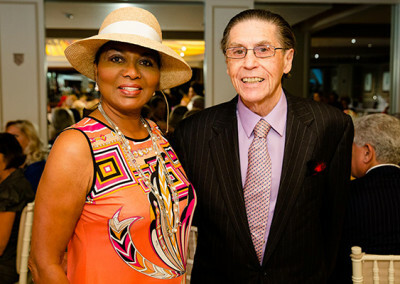 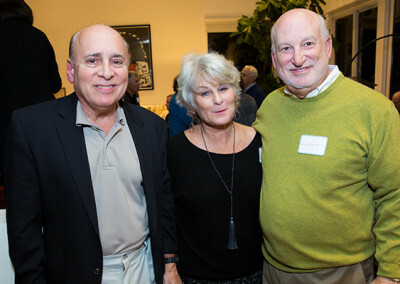 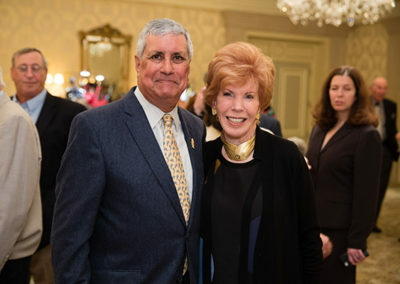 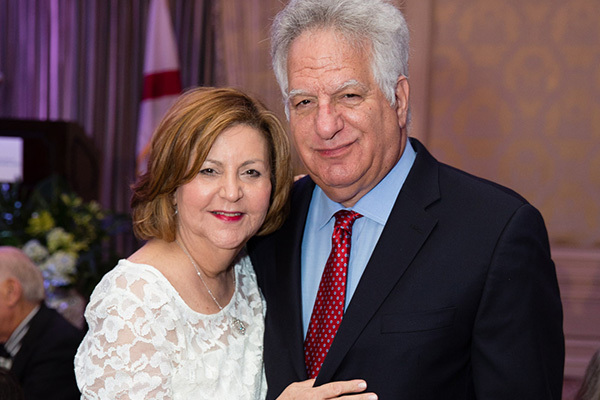 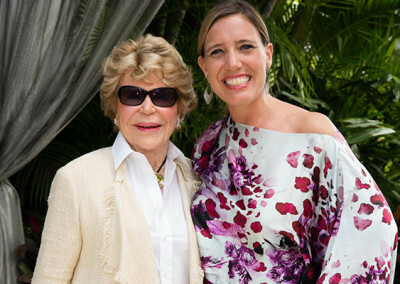 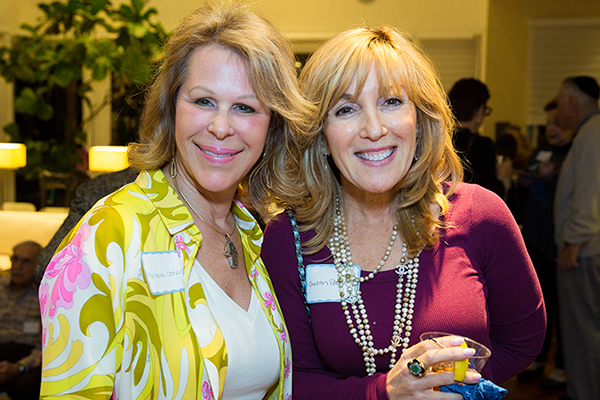 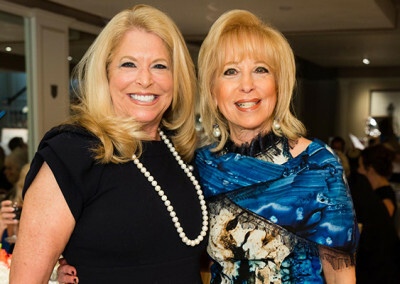 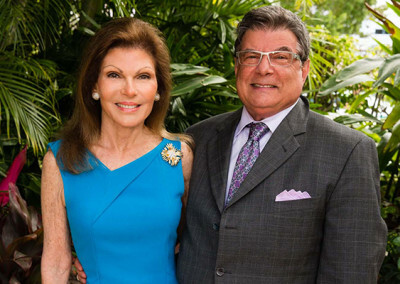 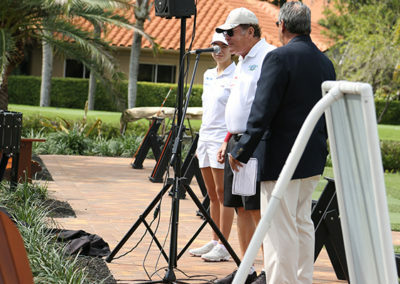 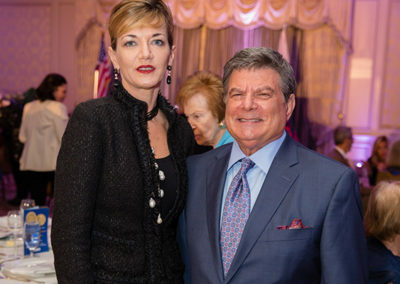 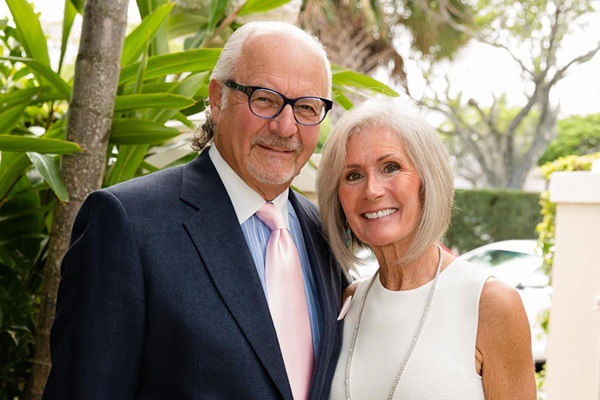 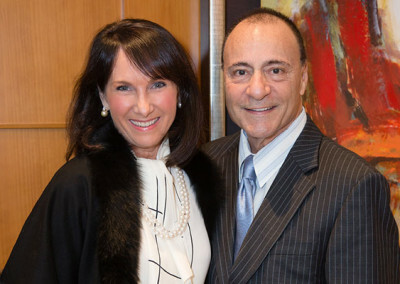 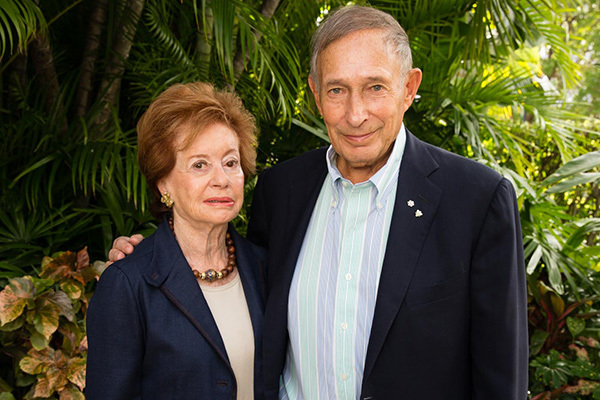 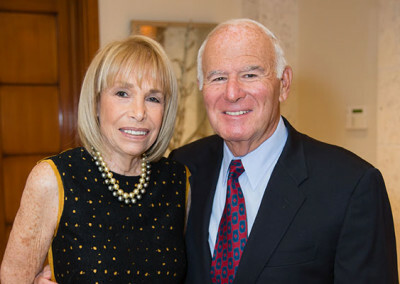 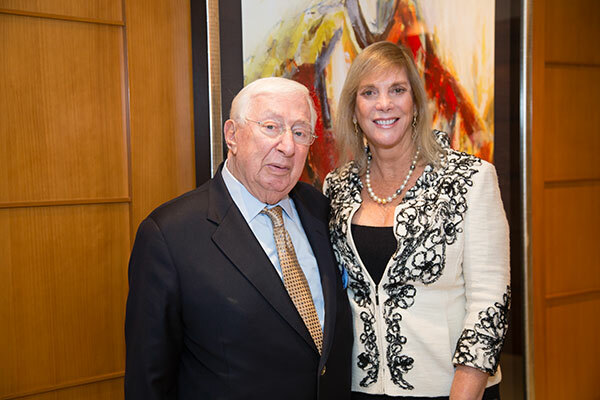 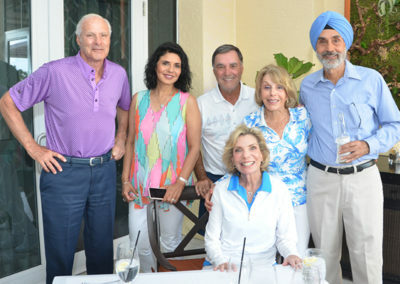 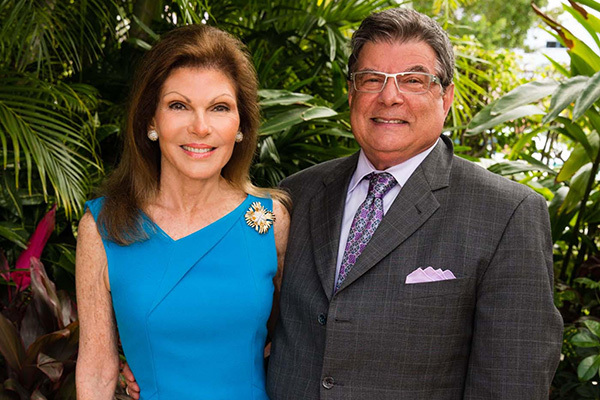 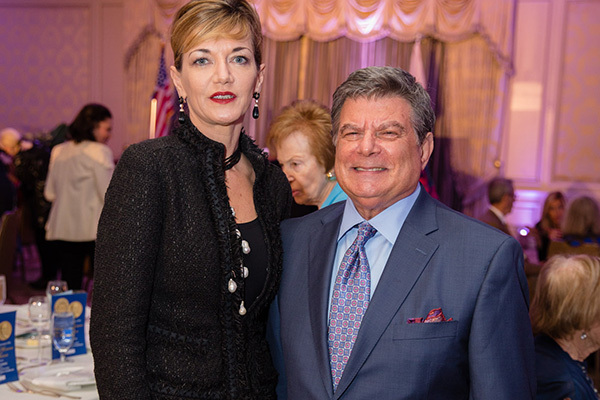 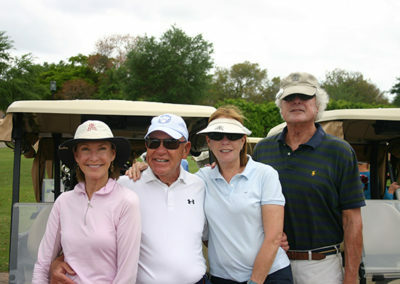 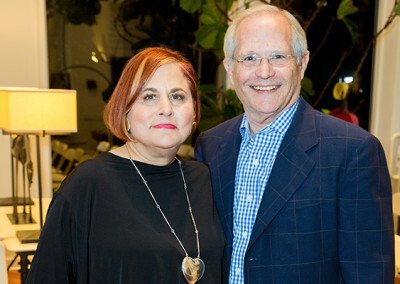 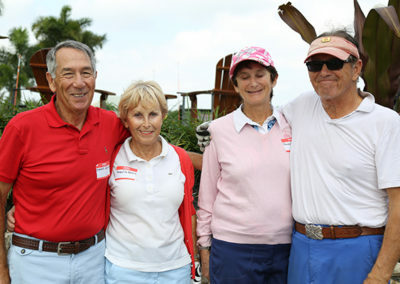 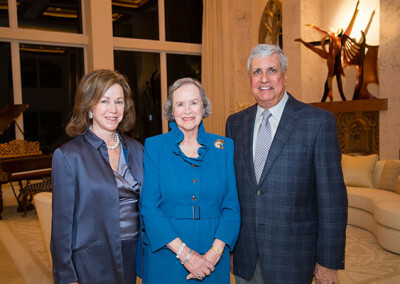 Co-chaired by Boca Raton’s Steve Melman and Phyllis Liss, the day-long fundraiser included a buffet lunch, outdoor cocktail hour, dinner, raffles and awards. 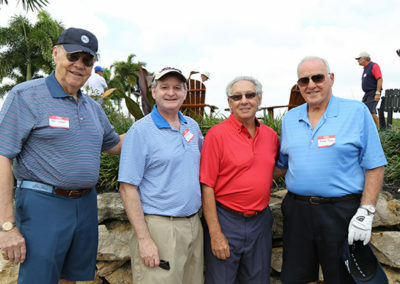 Gross Winners included Harvey Poppel, James Silver, Isaac Levy, Yael Morris, Jerry McCutcheon, Eric Pinkis Jerry Charson and Yoel Goldberg. 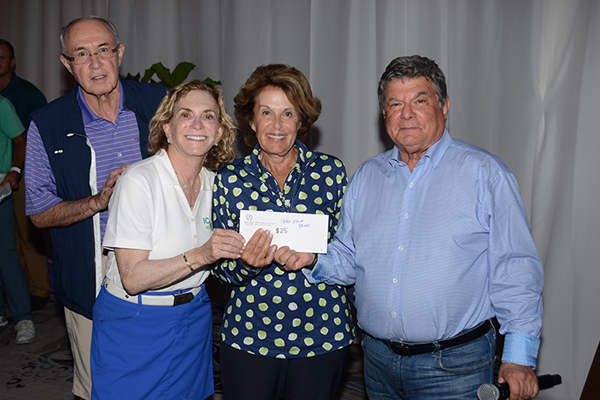 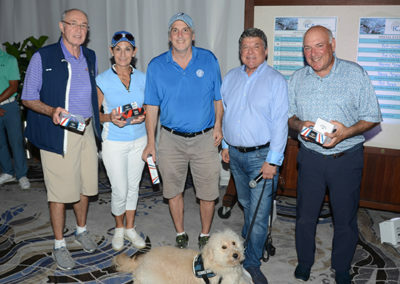 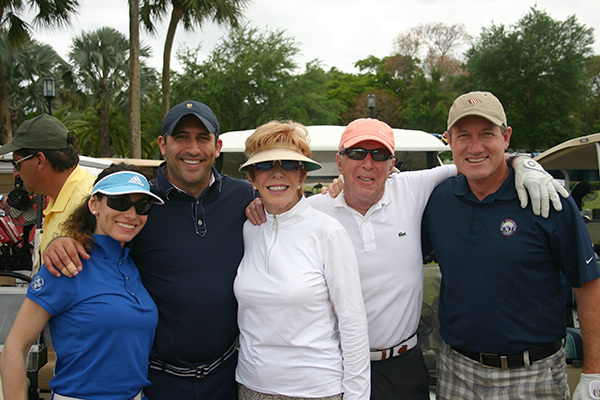 Net Winners included Steve Melman, Andrew Levine, Mike Francis, Bob Koenig, and Rick Tanenbaum, plus foursome Gigi Duarte, Sherry Morgenstein, Lee Poppel & Harriet Shavitz. 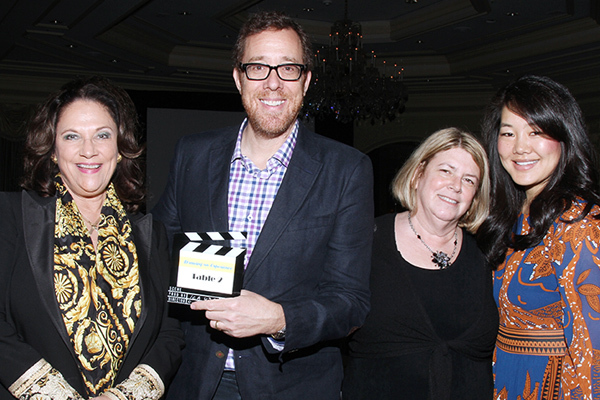 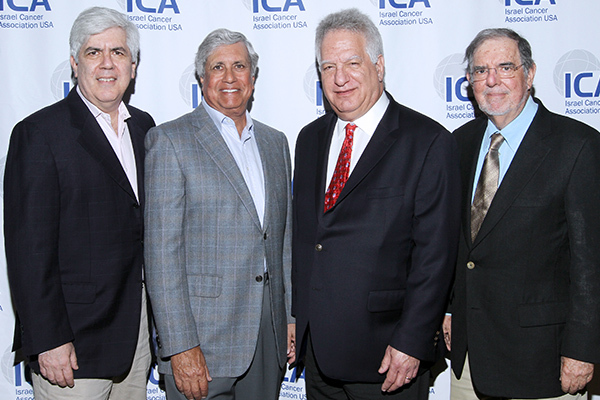 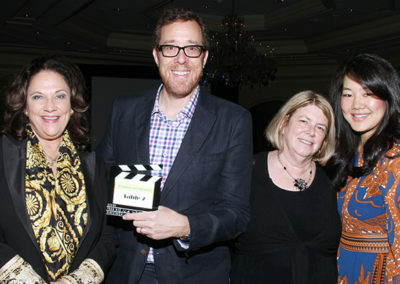 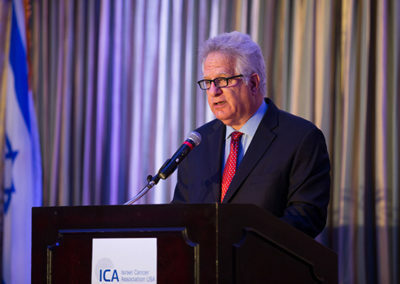 Awards were presented by ICA USA Executive Vice President, Arthur E. Benjamin. 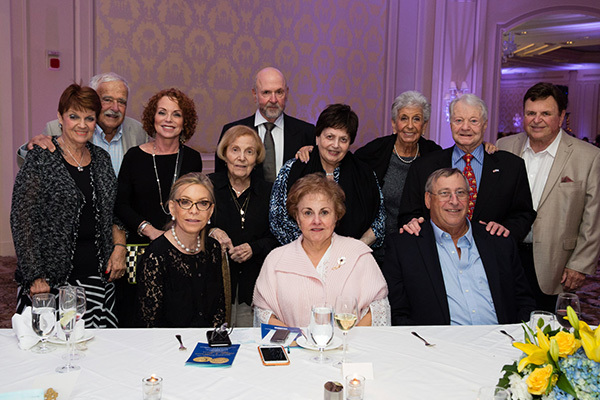 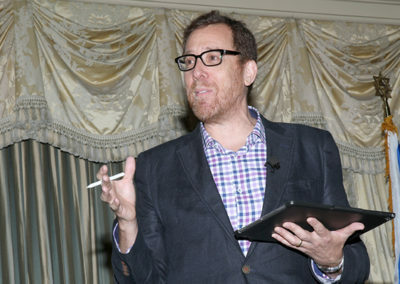 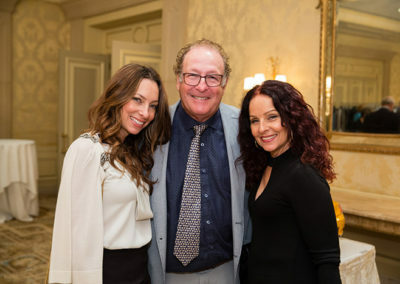 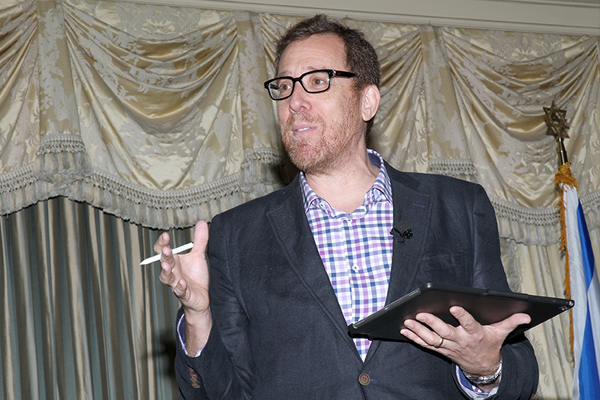 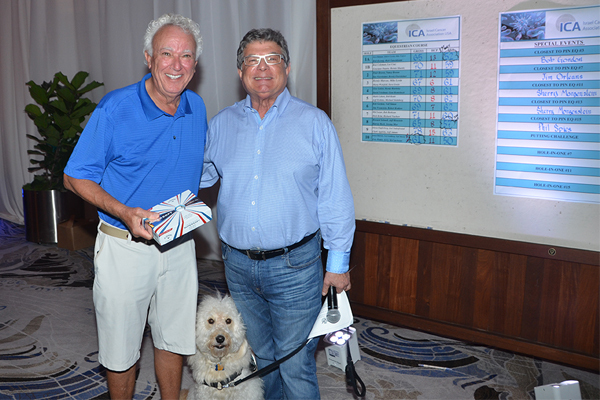 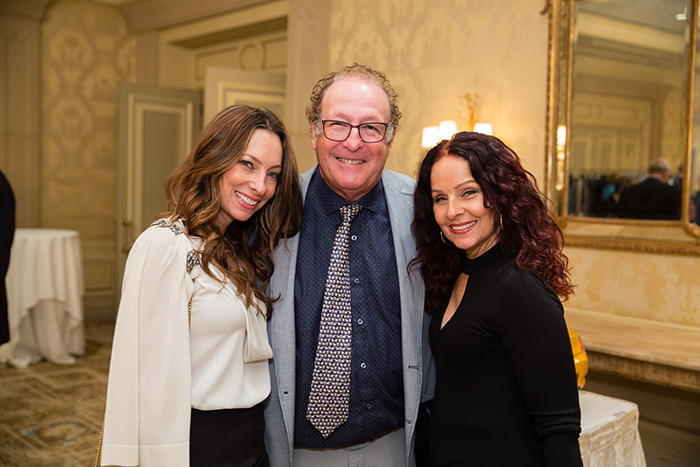 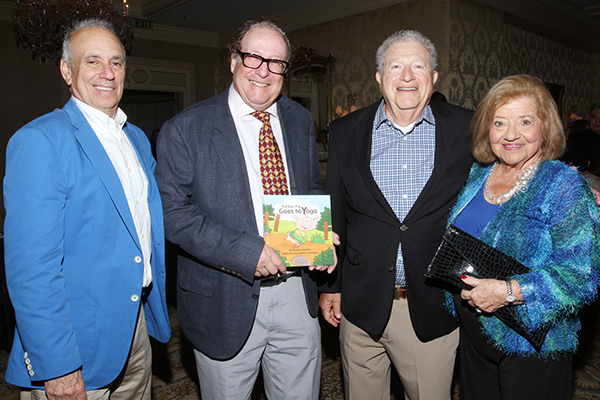 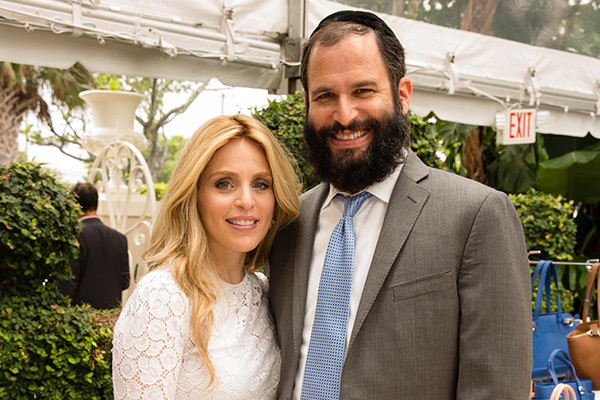 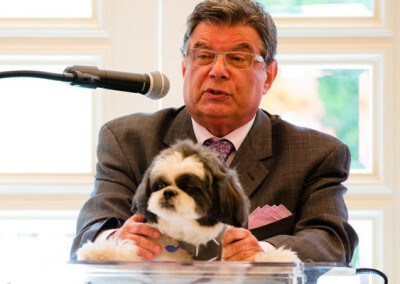 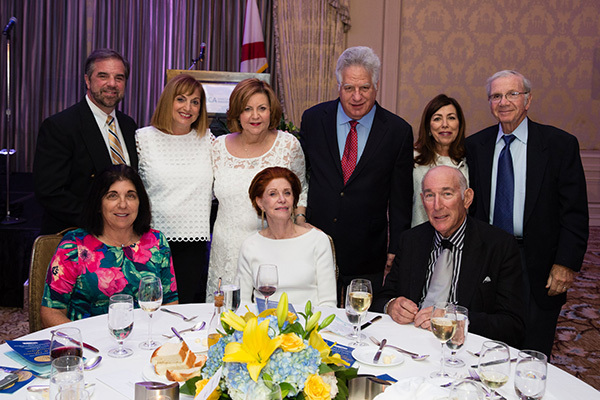 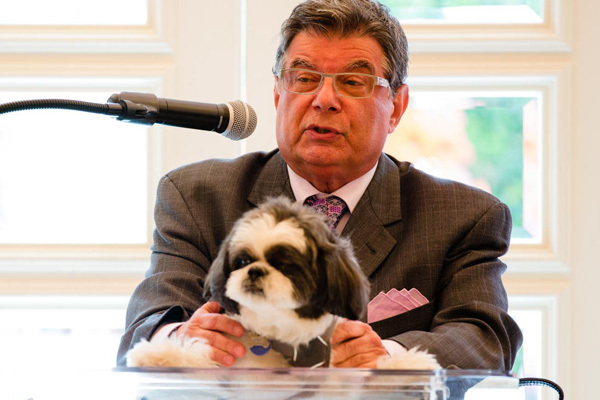 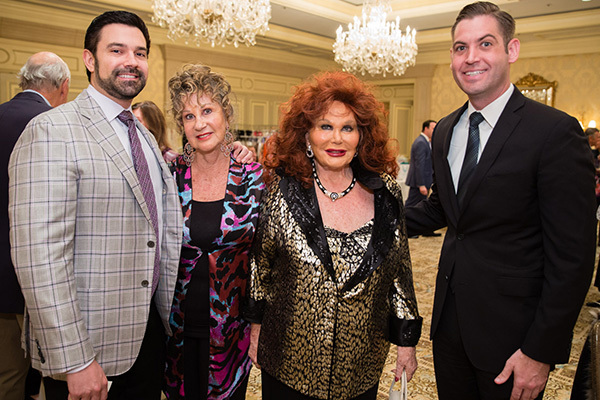 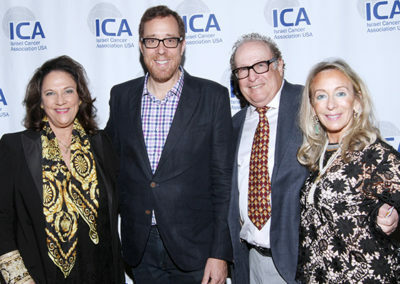 Israel Cancer Association USA (ICA USA) held its Annual Hope & Heroes Luncheon at Eau Palm Beach on March 11,, 2018, featuring Rob Minkoff, renowned animator, producer and director of the blockbuster movies, “Stuart Little” and the Oscar-winning “The Lion King” as the Keynote Speaker. 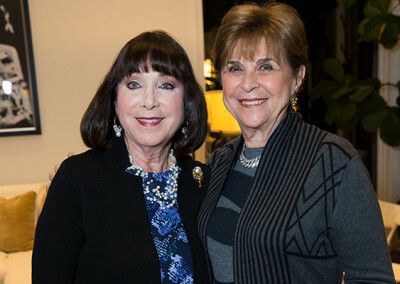 Chairs were Nancy Brown and ICA USA Executive Vice President, Lexye Aversa. 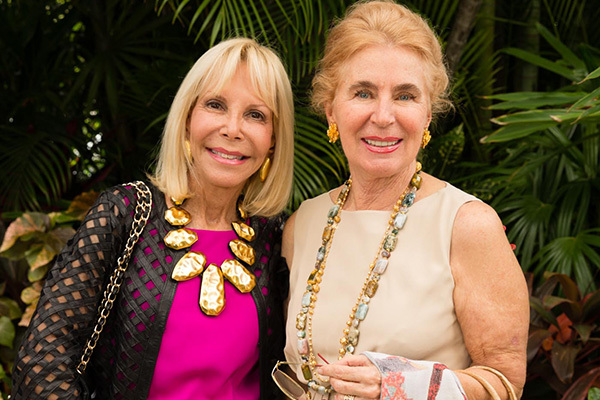 At the cocktail reception, light bites and wine were served as guests had an opportunity to purchase jewelry, handbags and scarves from vendors who donated a portion of their proceeds to ICA USA. 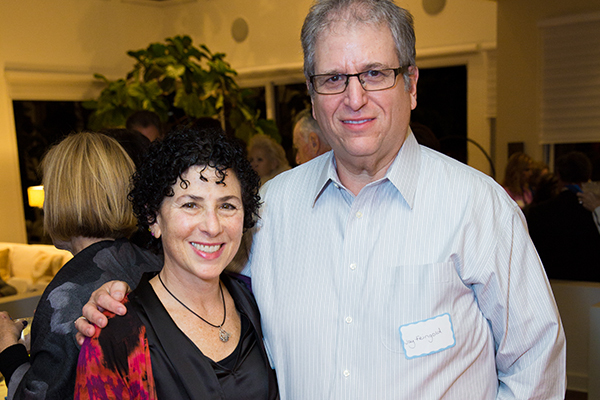 Rob Minkoff shared how he came to be a successful animator & director with the supporters, including a group of film students who were able to come thanks to a generous grant from Ari Rifkin & The Len Ari Foundation. 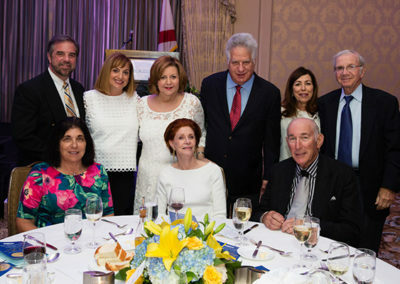 Luncheon proceeds will fund one Fellowship. 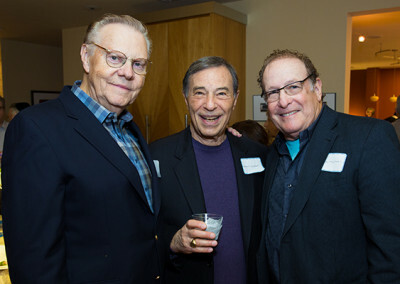 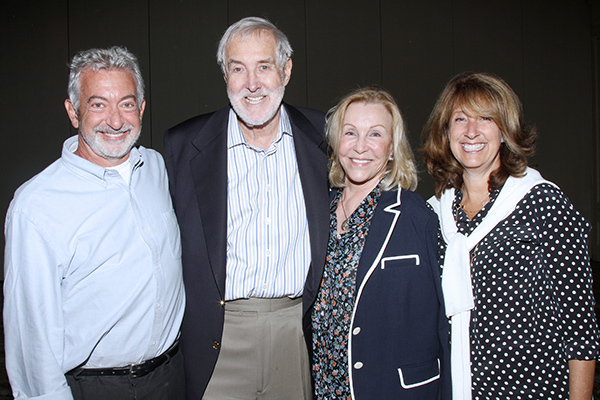 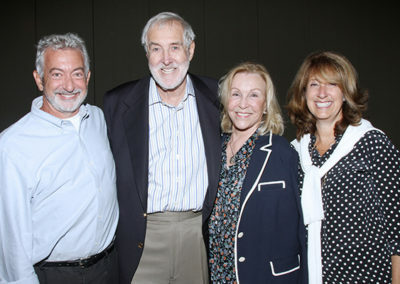 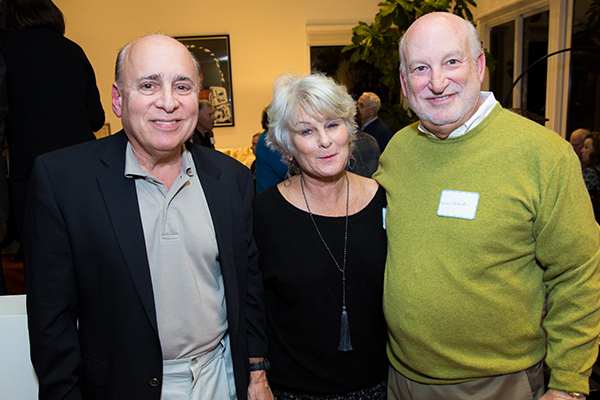 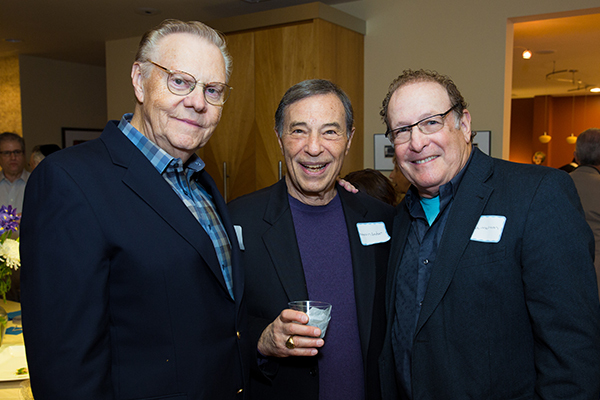 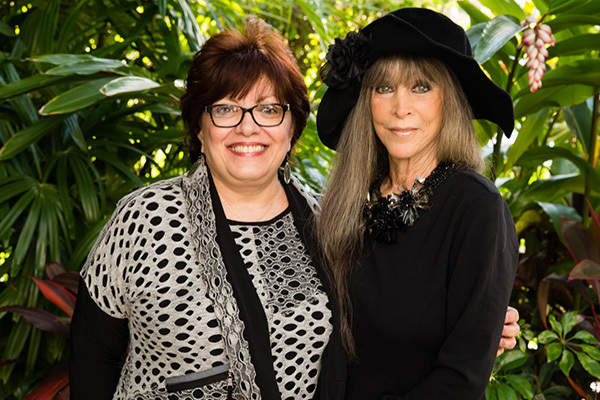 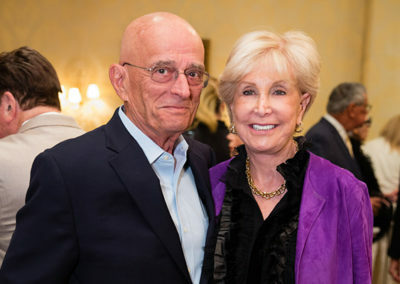 Janet and Bruce Adler gave a $52,000 Fellowship in Honor of Nancy and Peter Brown, who also donated a Fellowship, as did loyal supporters, Bruce Youngman and Deena and Seymour Freeman. 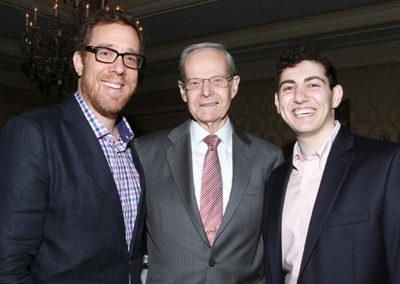 Brown brothers, Adam and David also each donated a Fellowship. 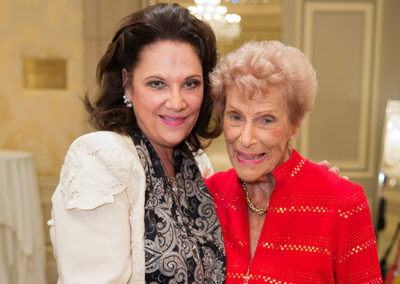 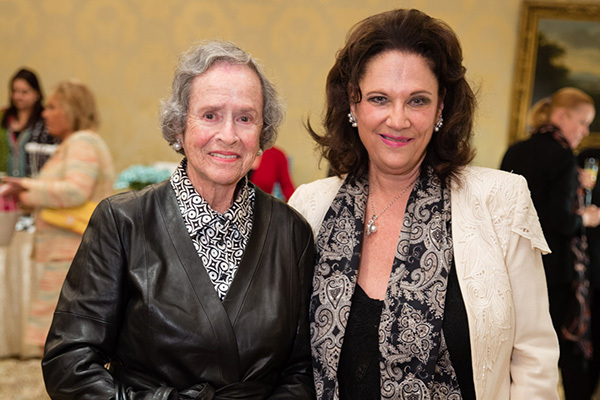 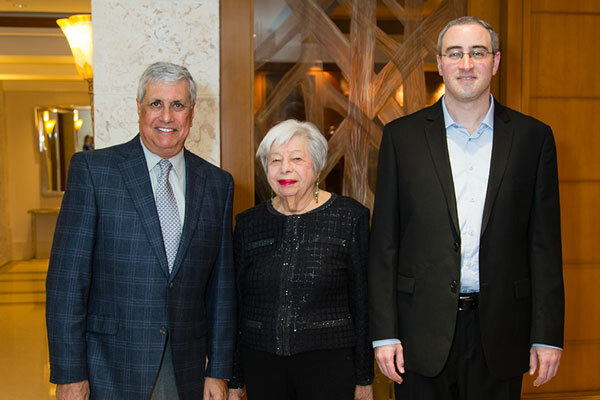 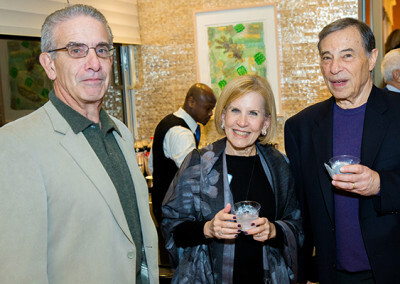 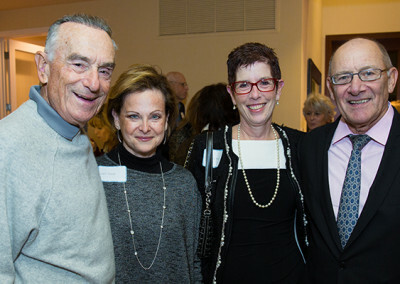 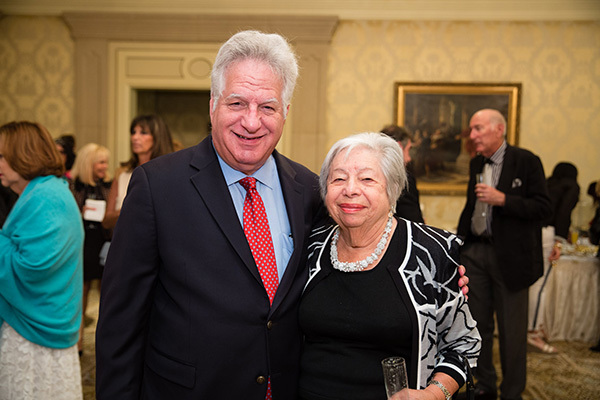 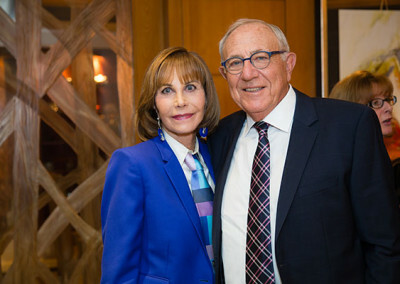 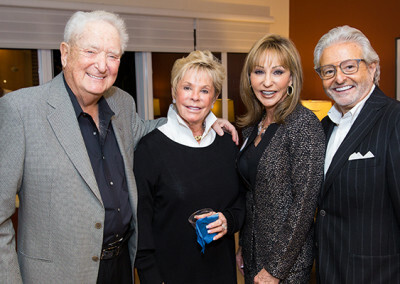 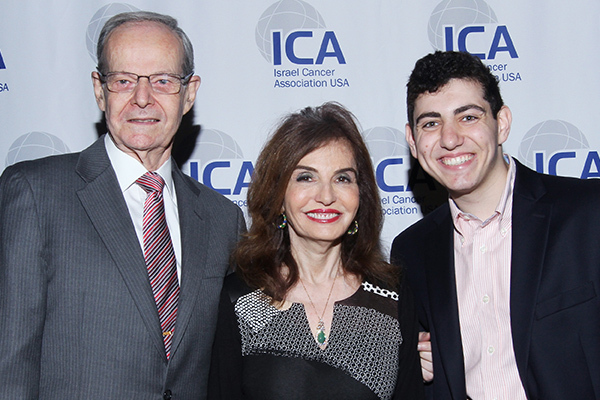 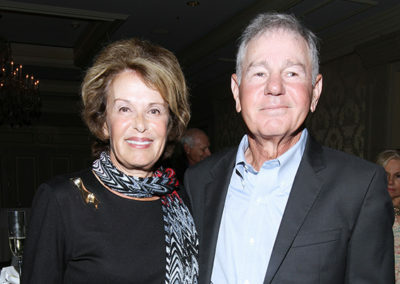 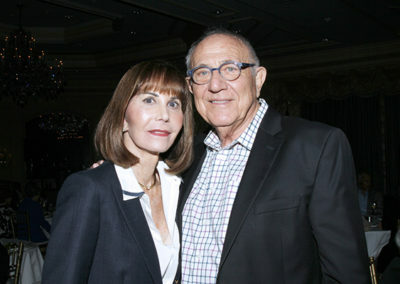 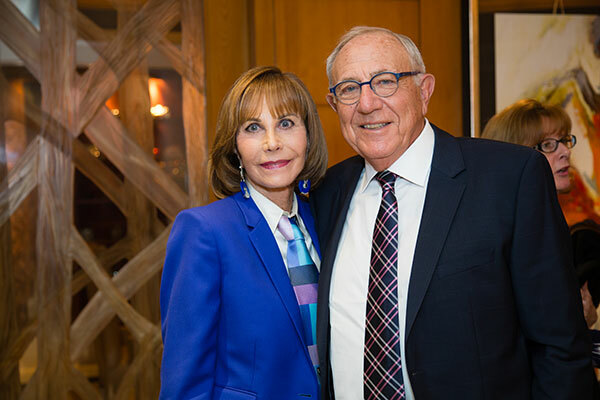 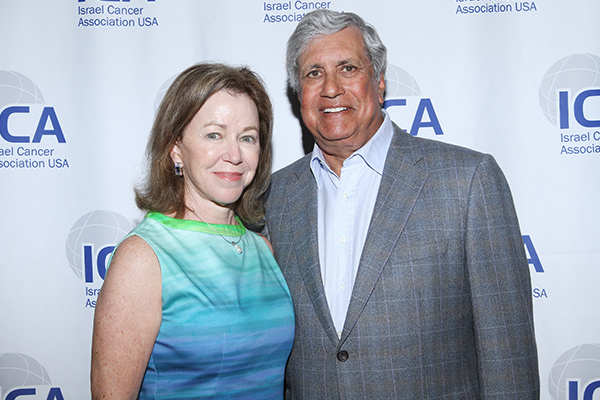 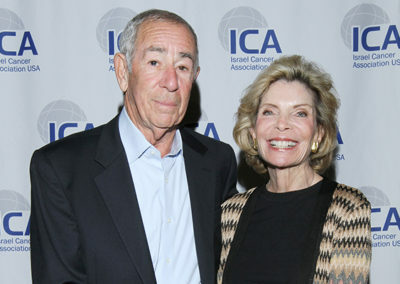 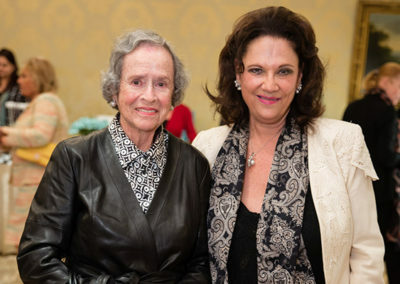 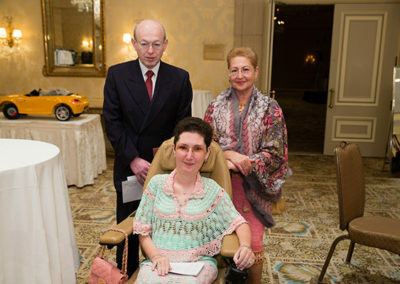 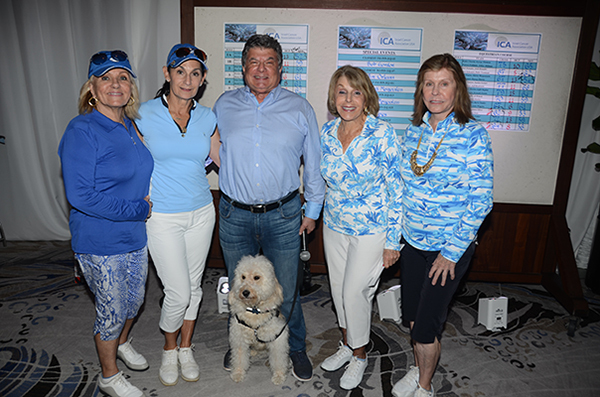 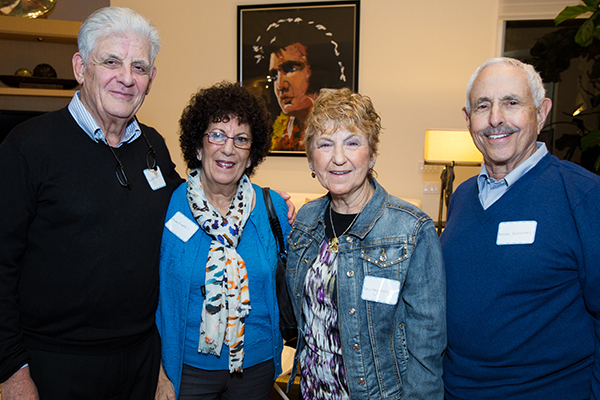 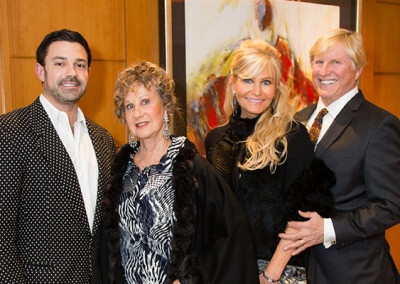 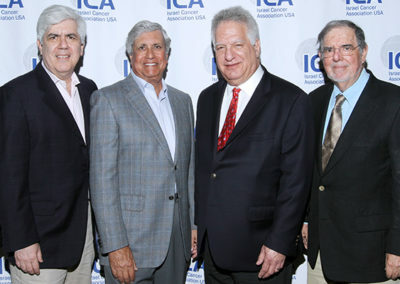 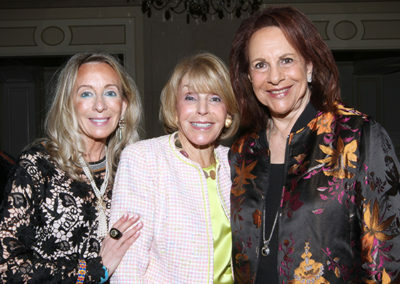 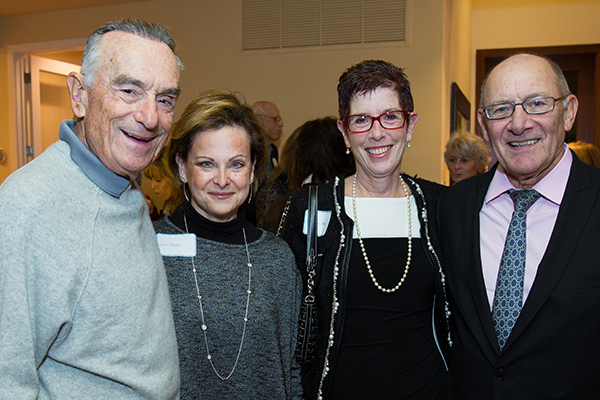 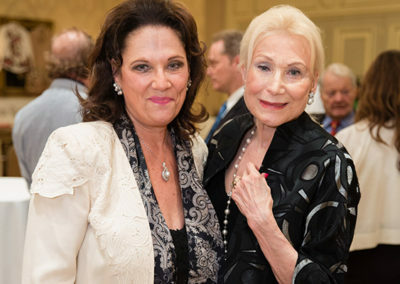 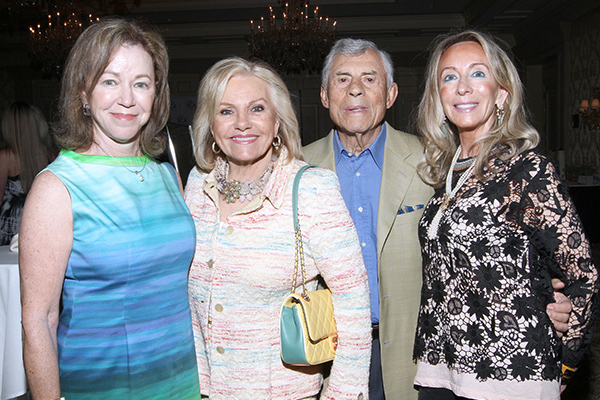 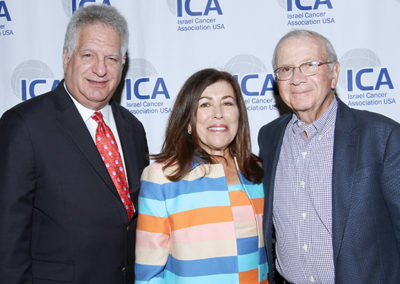 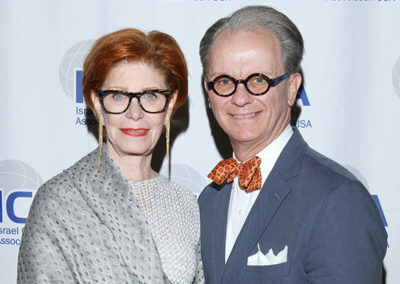 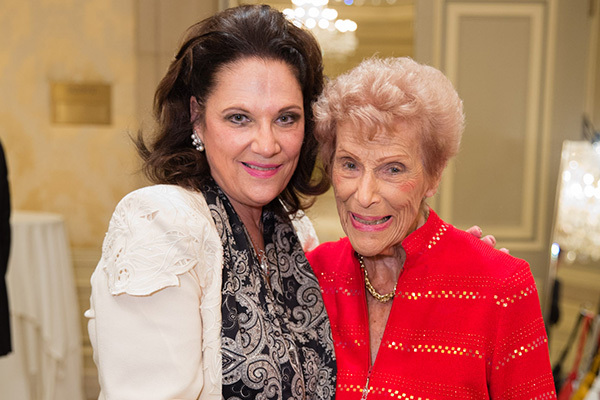 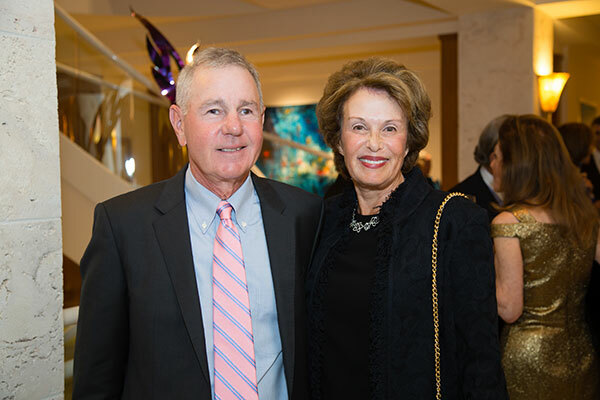 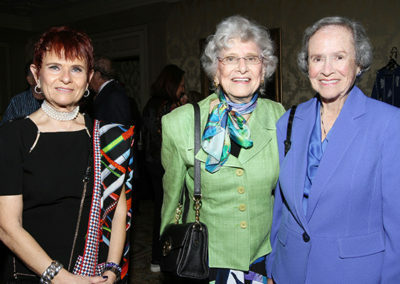 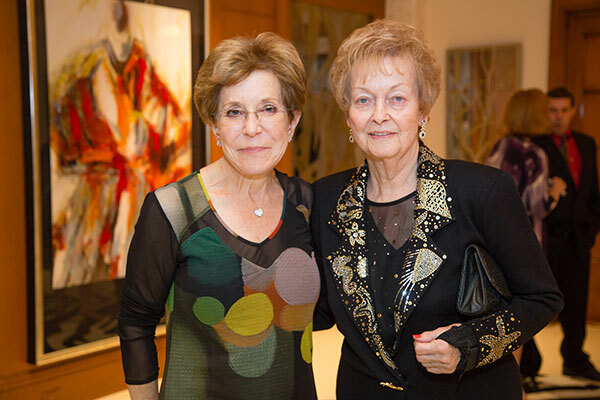 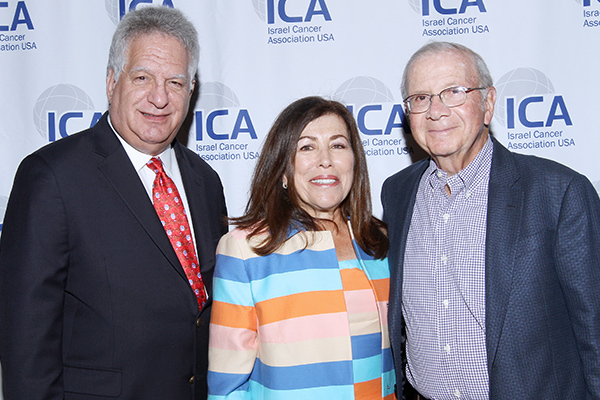 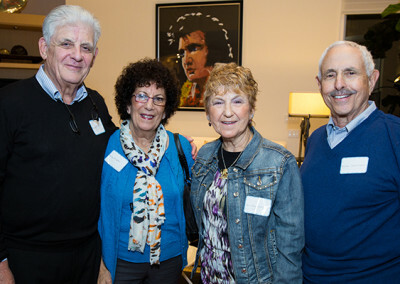 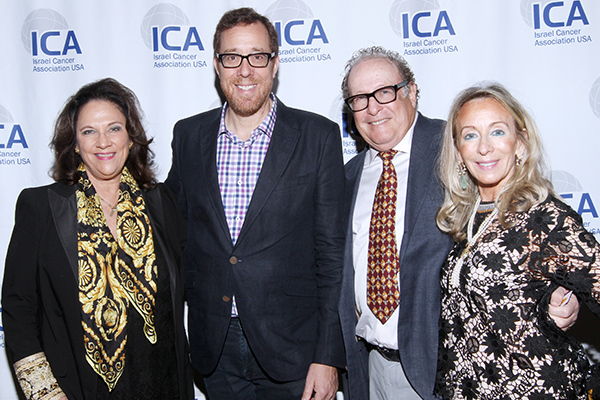 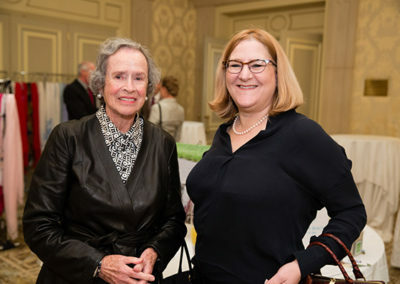 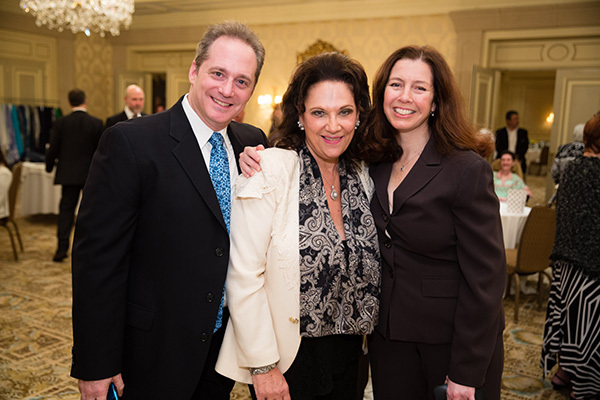 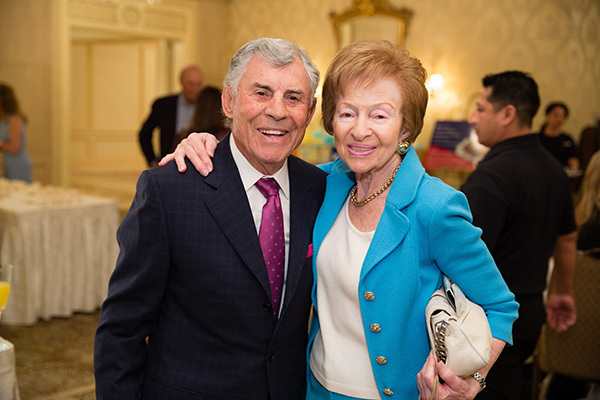 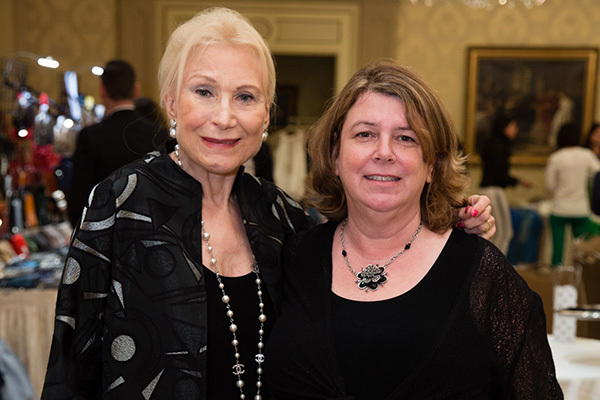 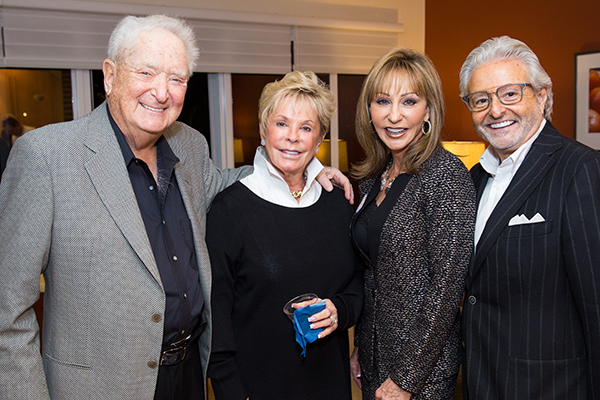 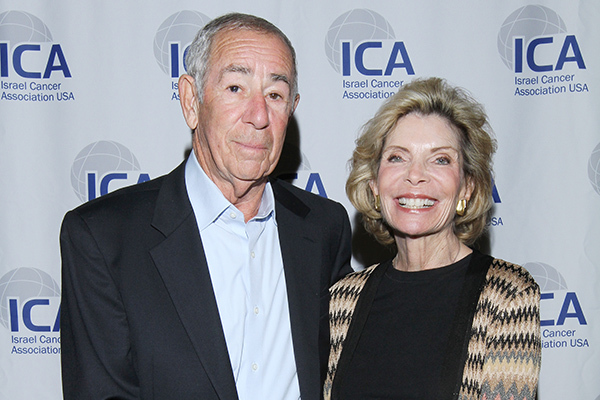 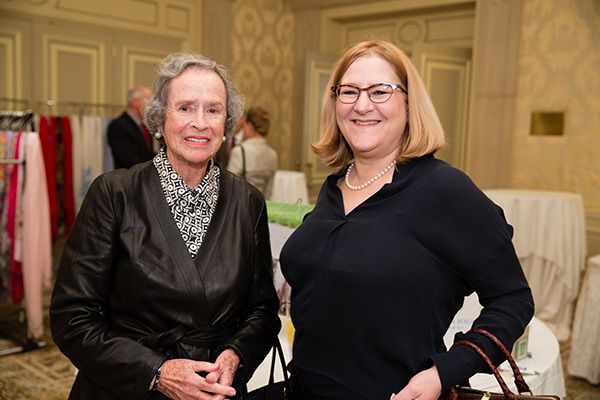 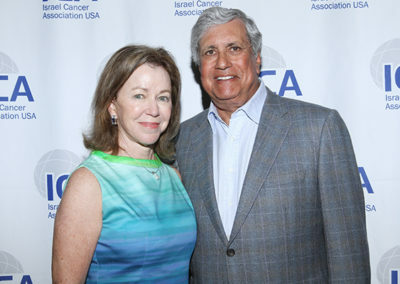 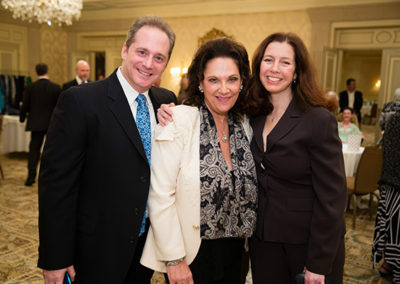 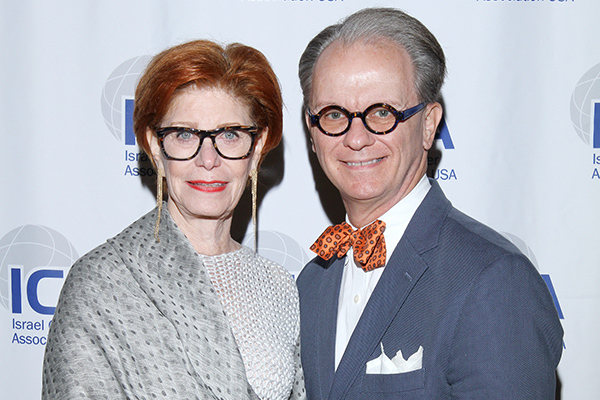 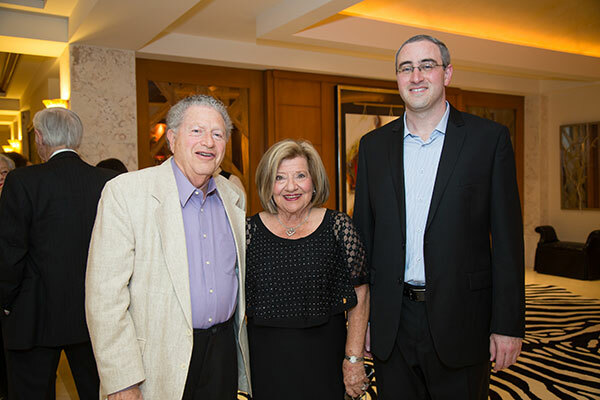 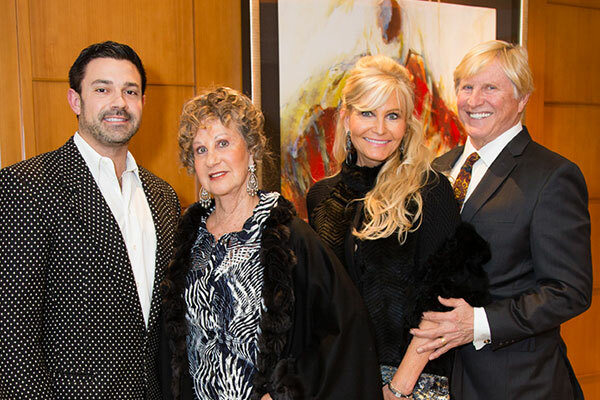 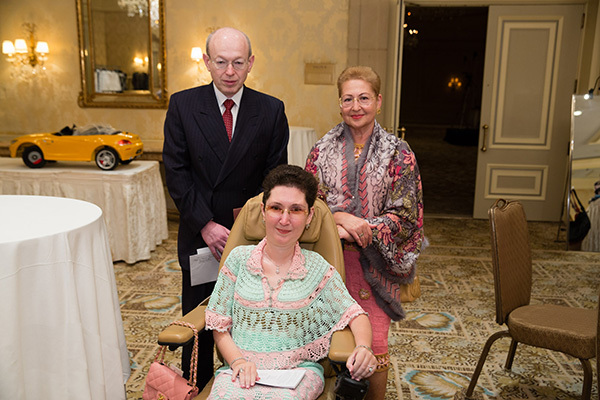 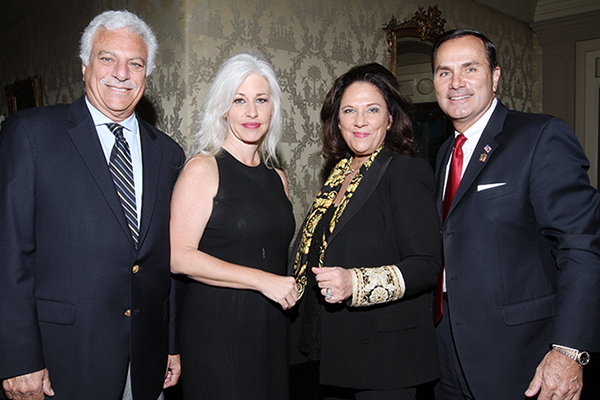 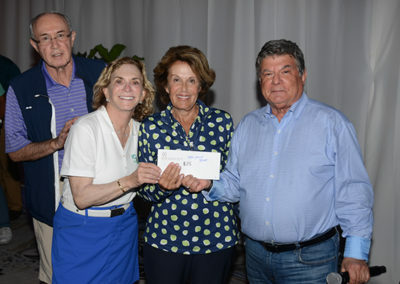 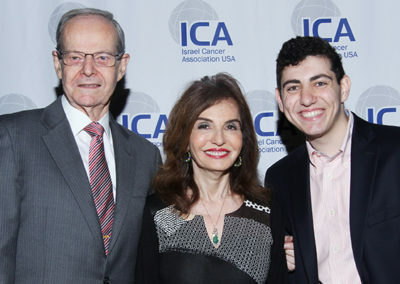 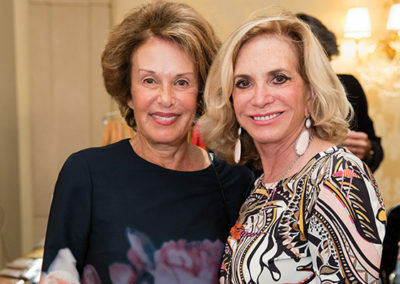 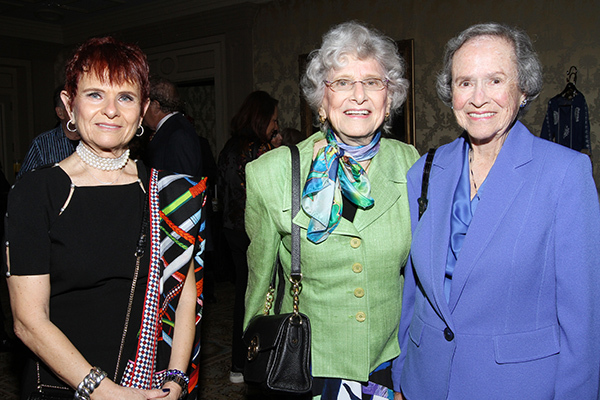 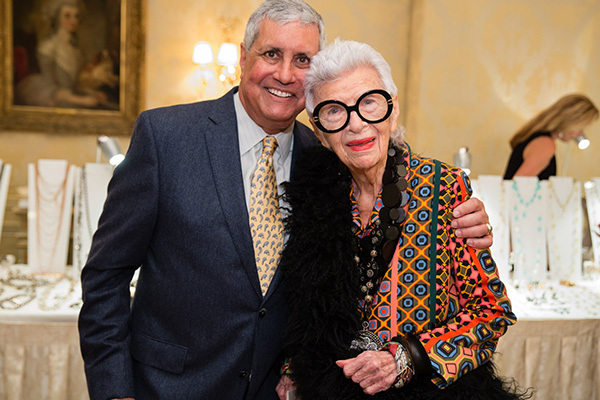 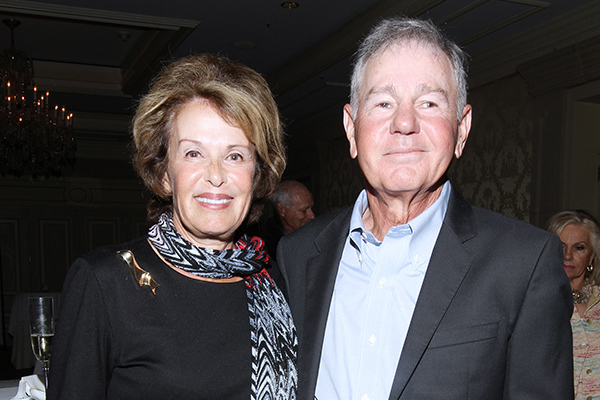 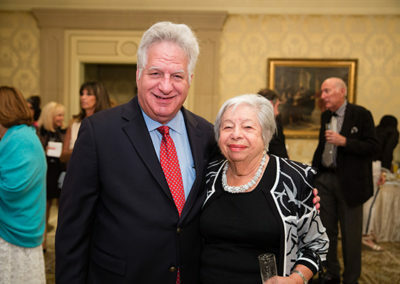 ICA USA was also generously supported by The David & Rhoda Chase Family Foundation, Honorary Chair, Mrs. Claire Levine, Bruce and Heddy Koppel, Drs. 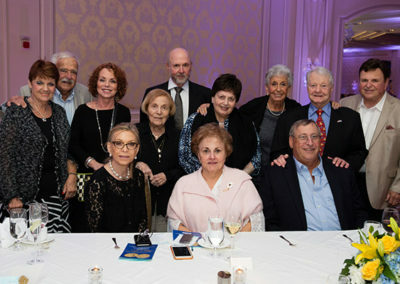 Daisy and John Merey, Jan Willinger and Bob Spiegel, as well as Joan and David Genser and Lee and Harvey L. Poppel. 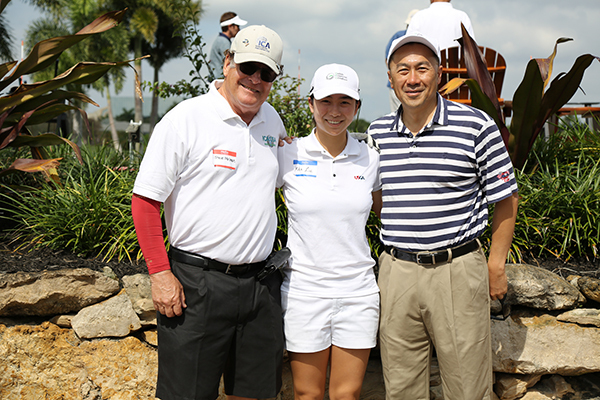 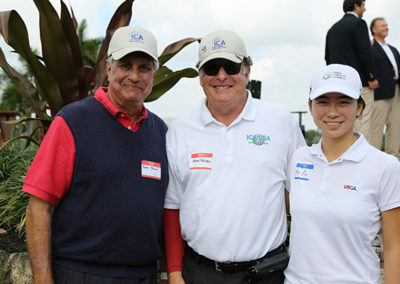 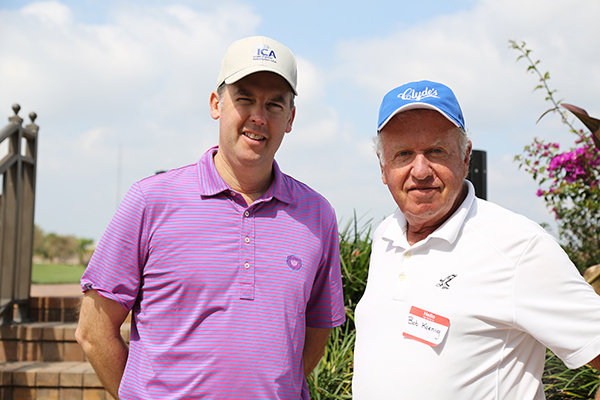 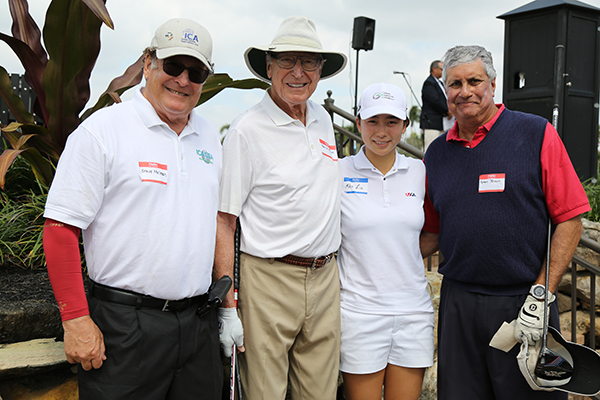 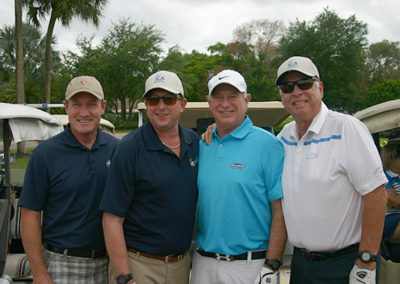 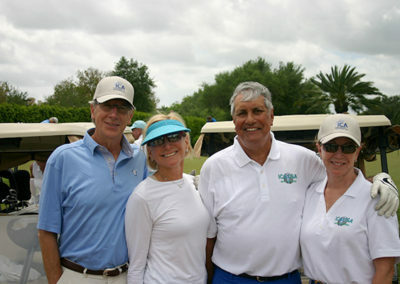 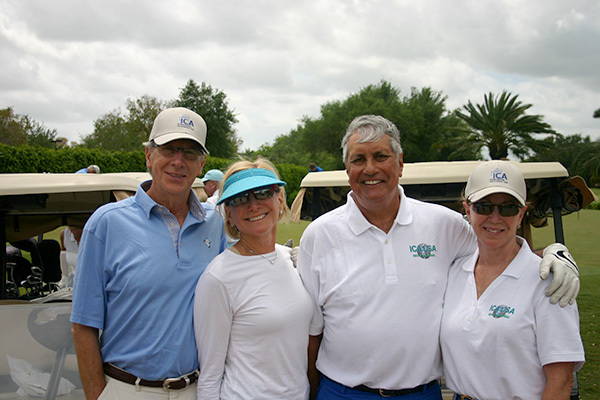 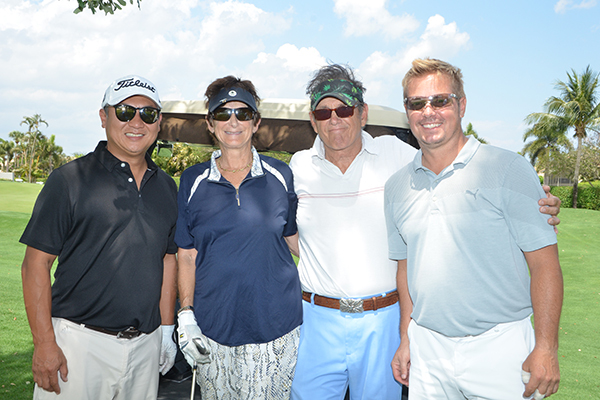 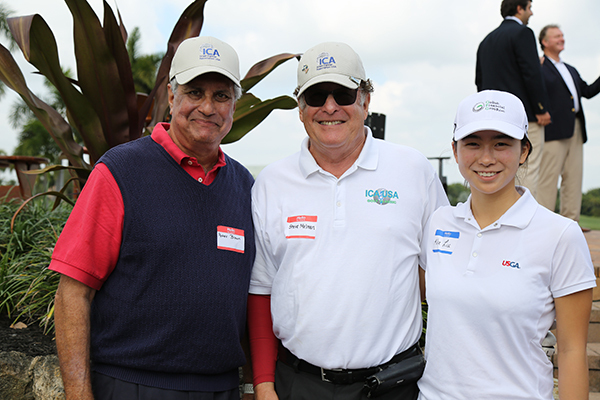 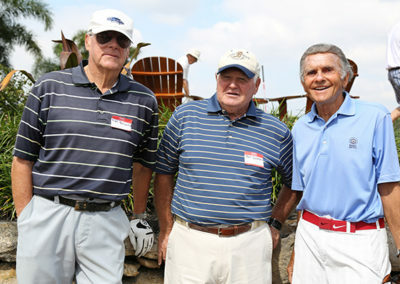 Thank you for teeing off with ICA USA at our 8th Annual Golf Classic! 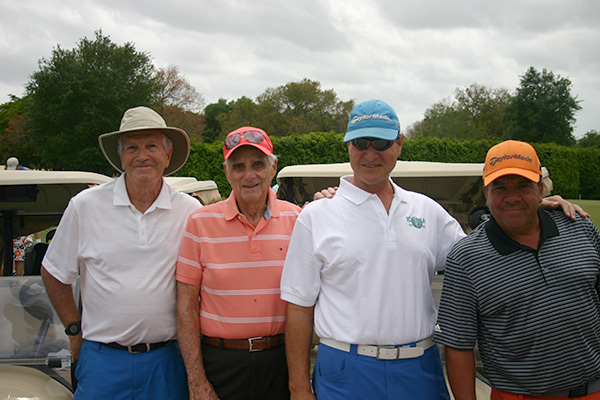 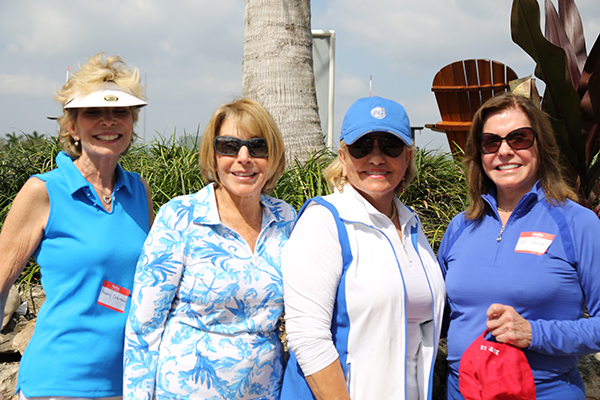 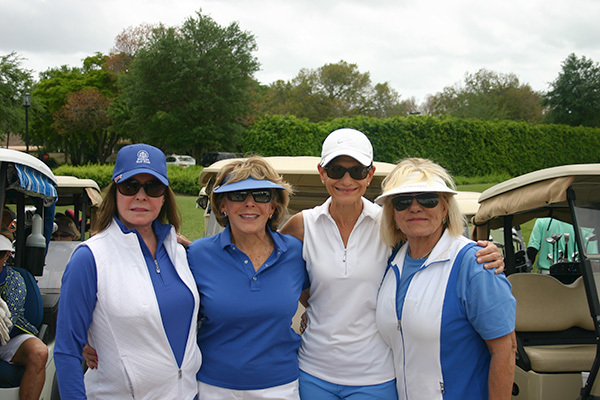 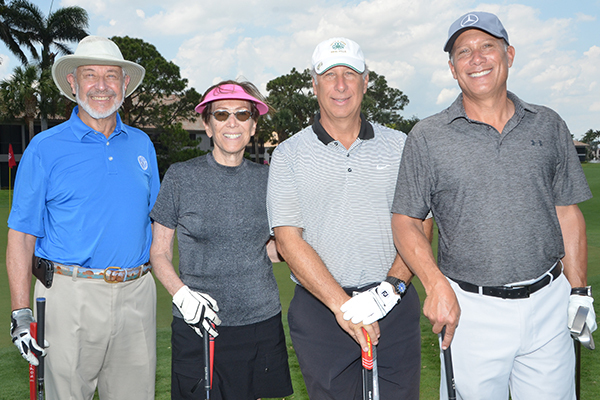 On Monday, February 13, 2017, 77 golfers gathered at Boca Grove Country Club for a fun-filled day on the beautiful and challenging course. 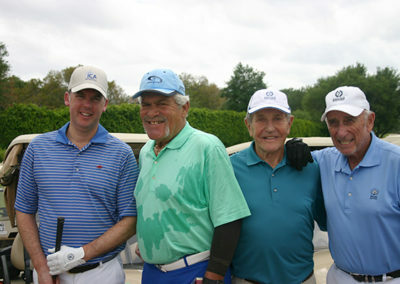 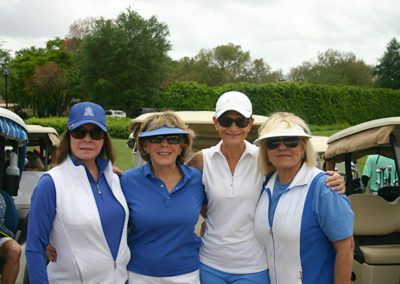 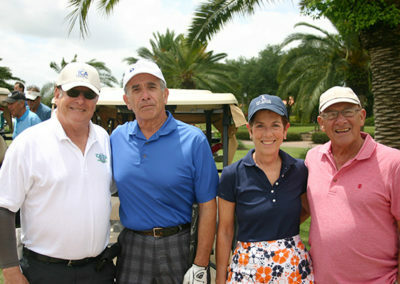 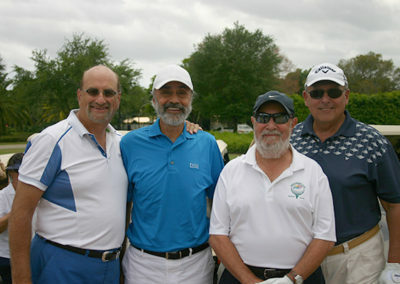 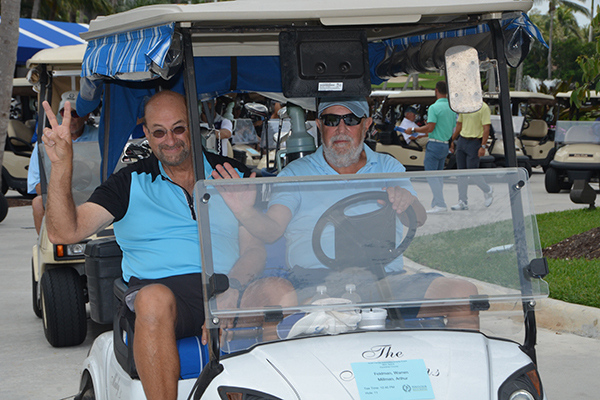 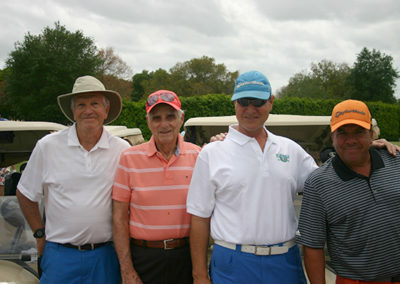 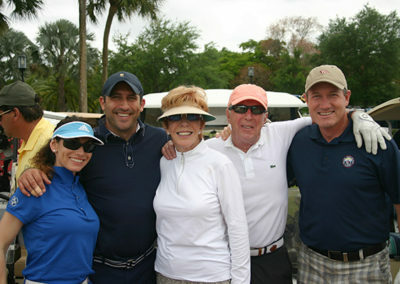 Our guests drove, chipped and putted in support of Israel Cancer Association USA. 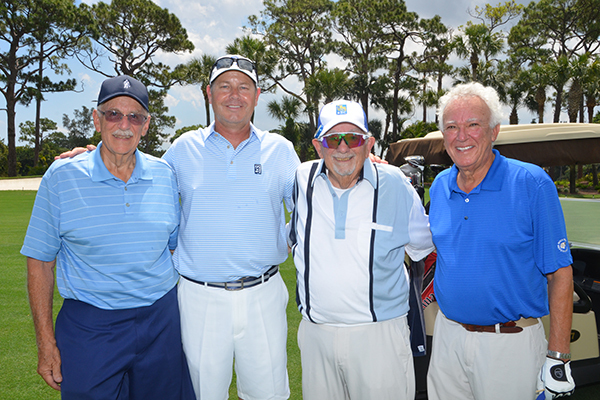 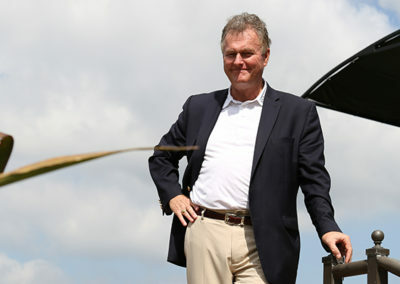 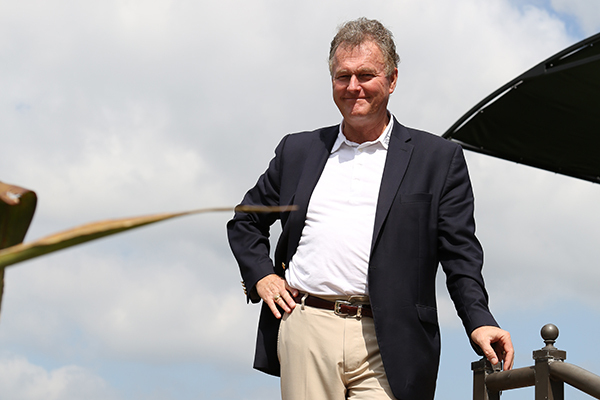 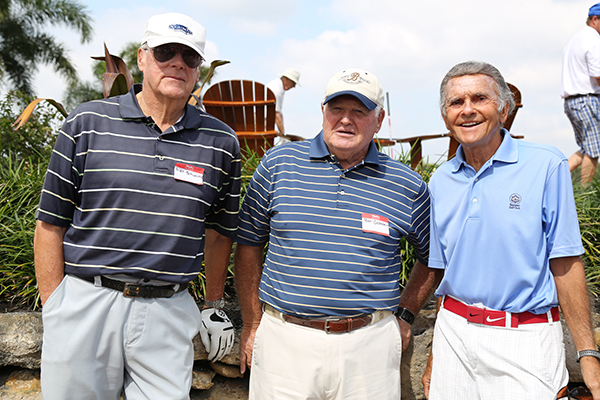 Whether you golfed with us or not, we hope you’ll enjoy these photos from the day. 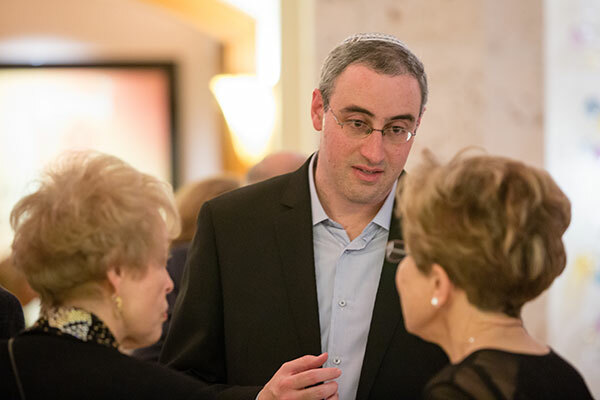 Proceeds benefit Cancer Research Fellowship Grants that support groundbreaking Cancer Research conducted by Scientists at leading hospitals, institutions and universities throughout Israel. 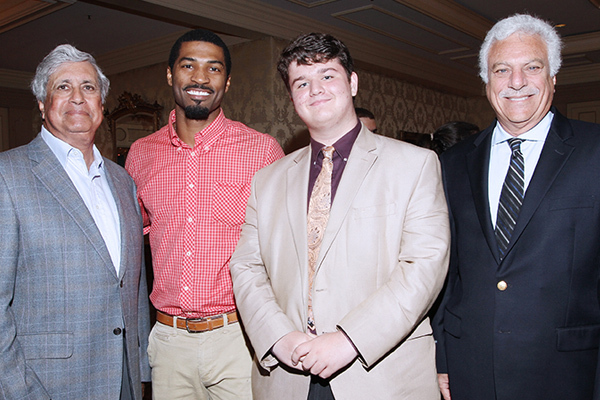 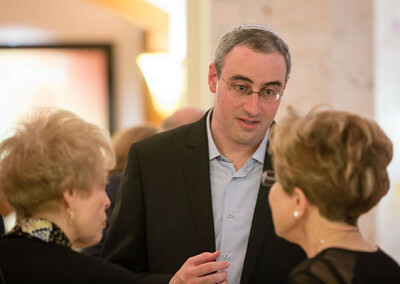 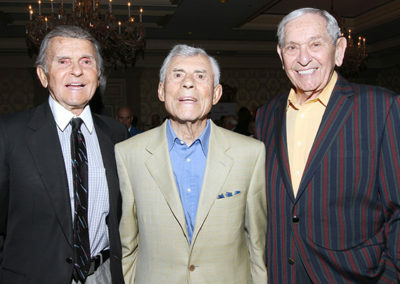 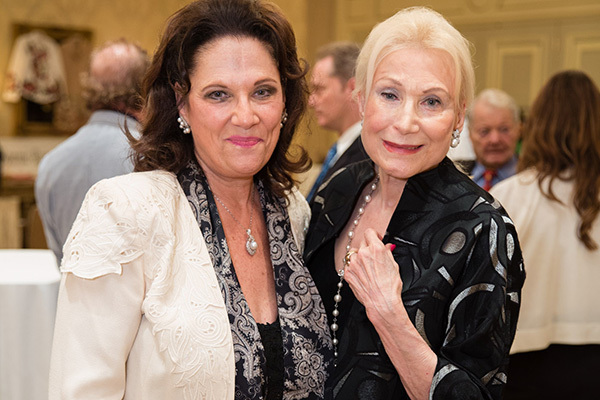 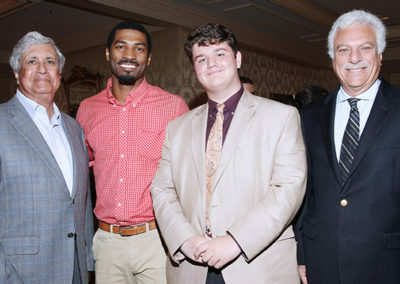 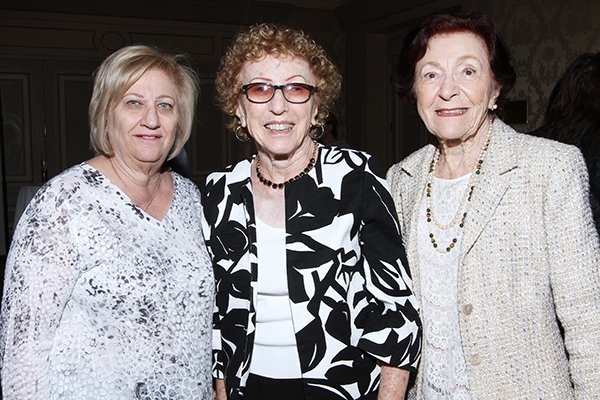 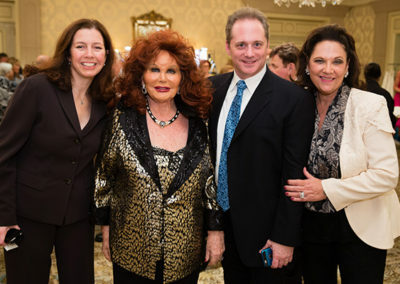 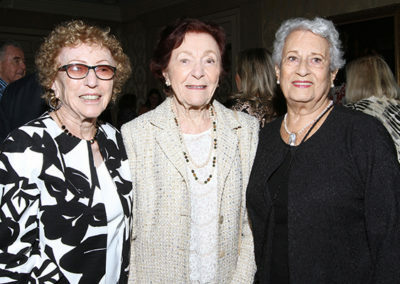 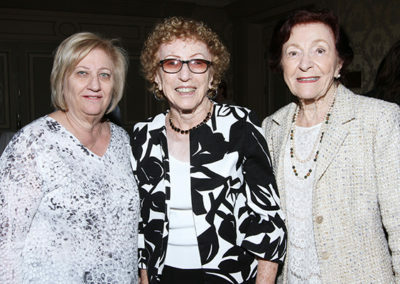 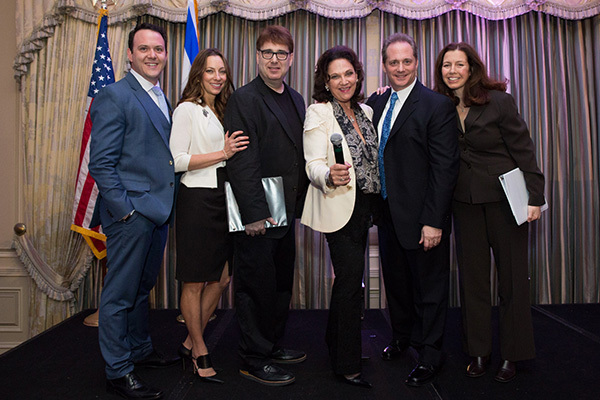 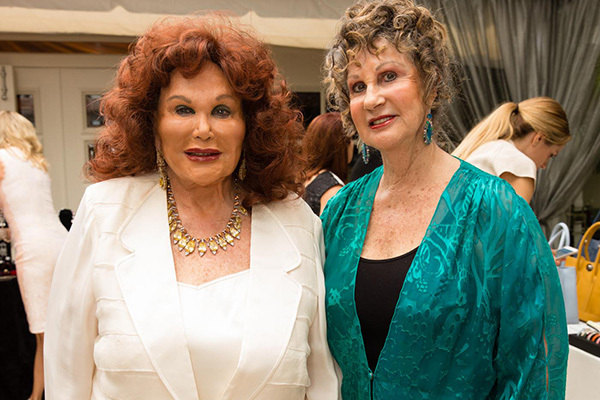 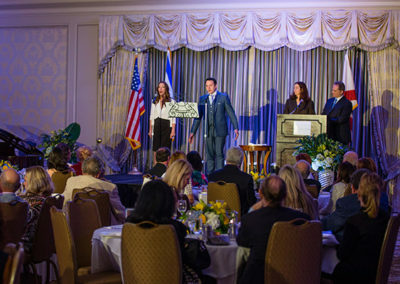 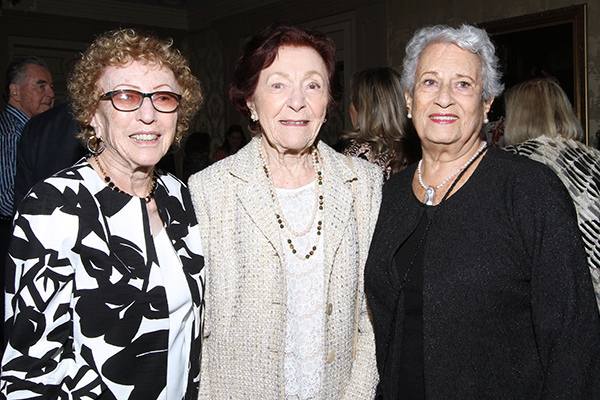 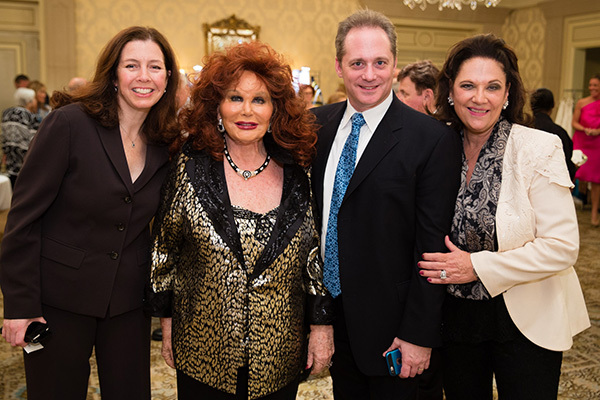 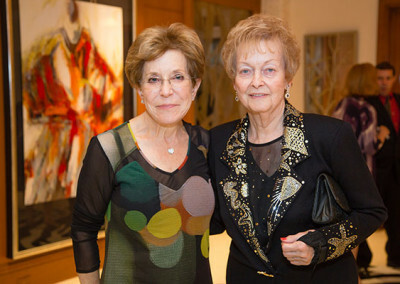 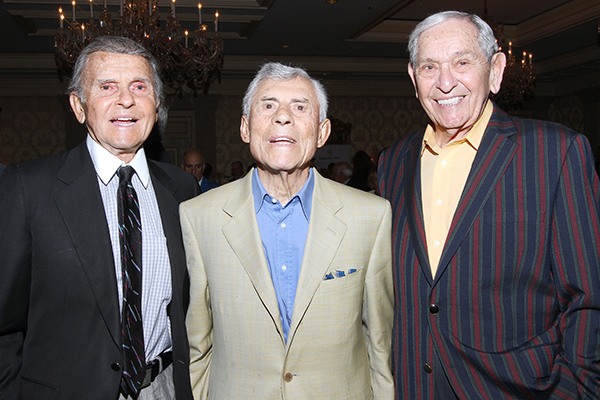 Israel Cancer Association USA (ICA USA) held its Annual Hope & Heroes Luncheon at Eau Palm Beach on January 23, 2017, honoring the legacy of Raoul Wallenberg as recounted by Keynote Speakers & Broadway Award Winning Playwrights Laurence Holzman and Felicia Needleman, creators of “Wallenberg”, a new musical drama. 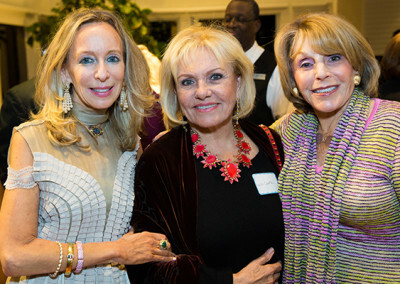 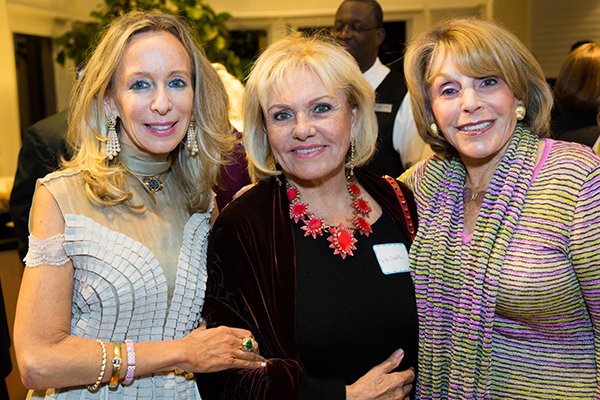 Light bites and wine were served as guests arrived and had an opportunity to purchase jewelry, handbags and shawls from vendors who donated a portion of their proceeds to ICA USA. 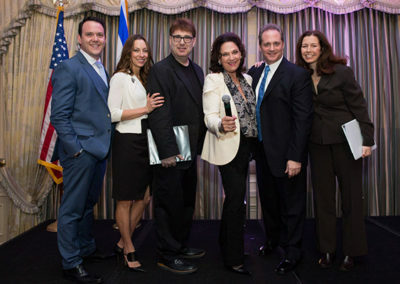 Lunch Chair and ICA USA Executive Vice President, Lexye Aversa welcomed the distinguished guests and thanked them for joining our “Hope & Heroes” quest through the miraculous work of our Israeli Scientist Performers Bret Carr and Lauren Leibowitz sang the Israel and United States National Anthems. 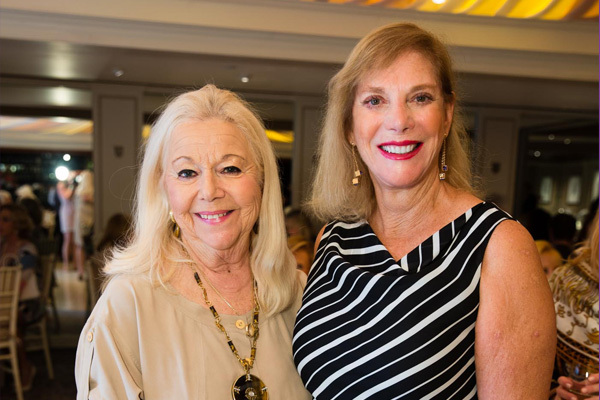 Our keynote speakers shared a fascinating narrative of what compelled them to bring the epic saga of Raoul Wallenberg to the Broadway-Bound Stage. 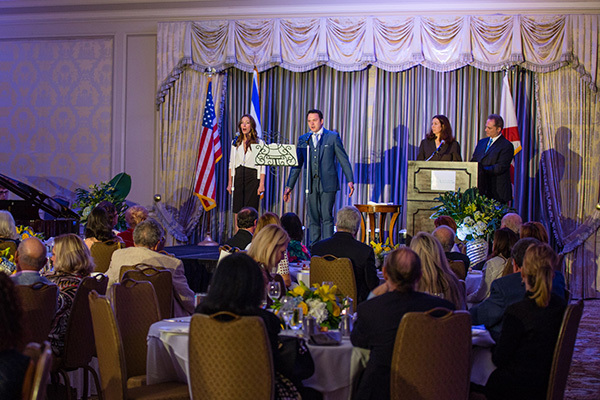 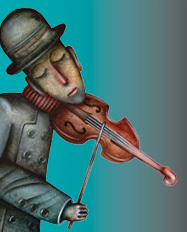 Supporters were treated to a musical interlude from the play. 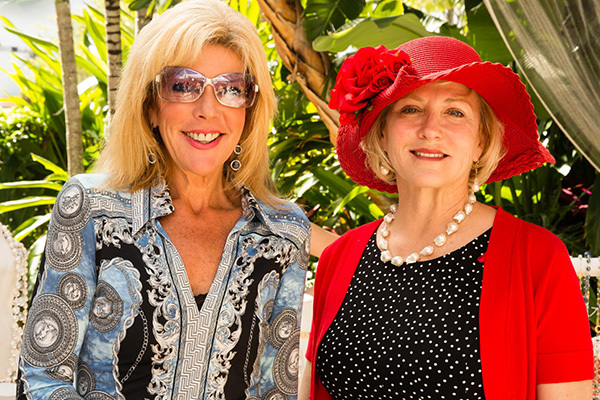 Luncheon proceeds will support two Fellowships, one in honor of our Luncheon Chair, and one in honor of our Keynote Speakers. 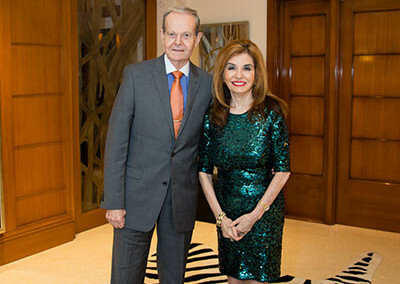 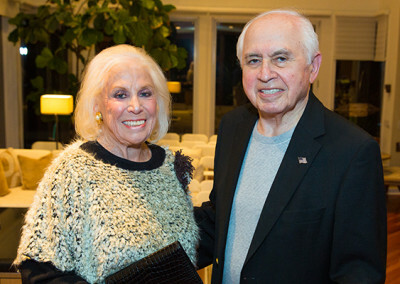 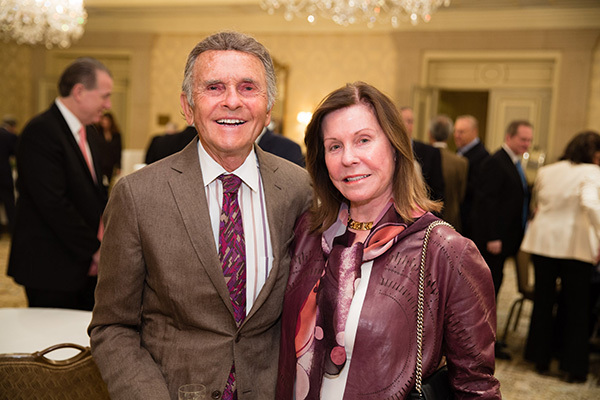 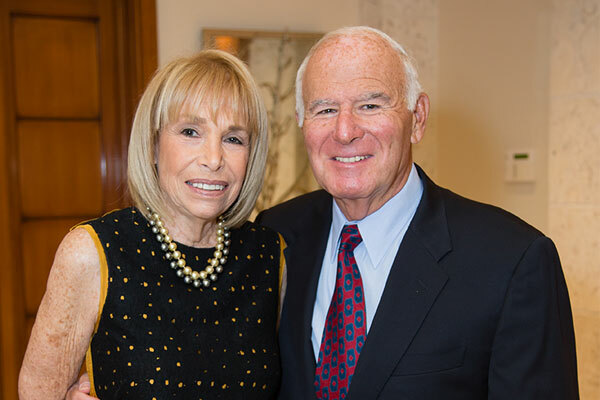 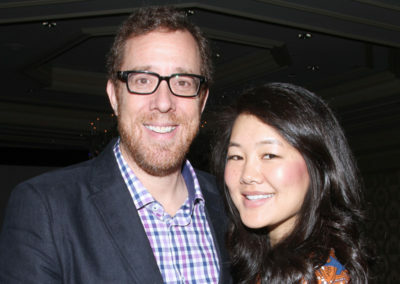 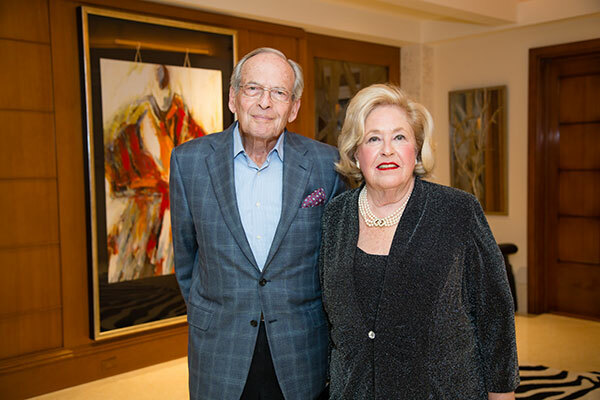 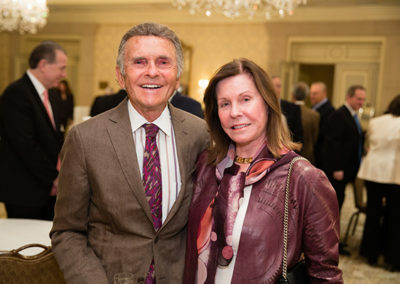 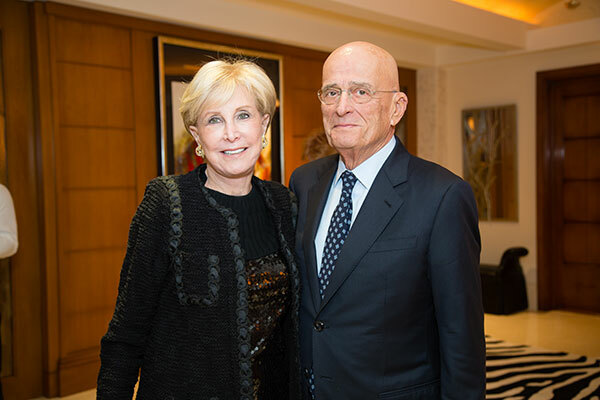 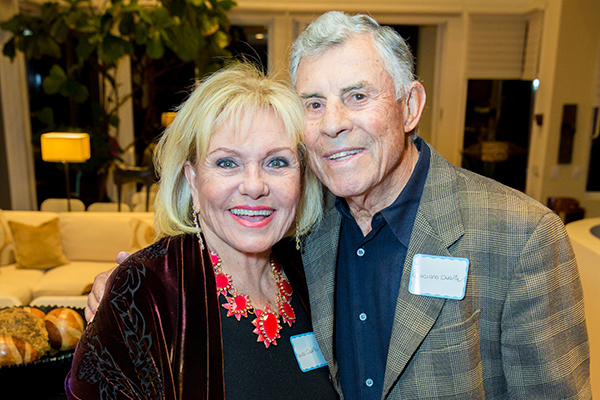 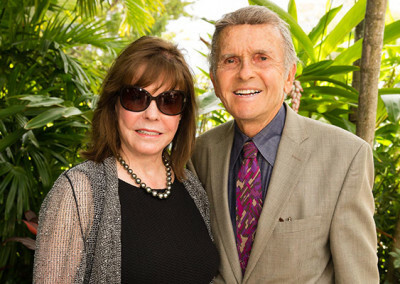 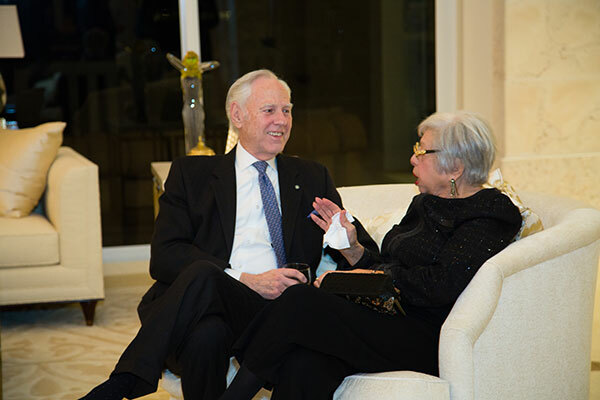 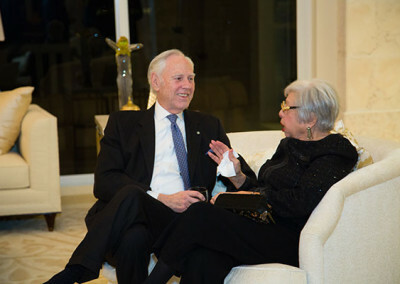 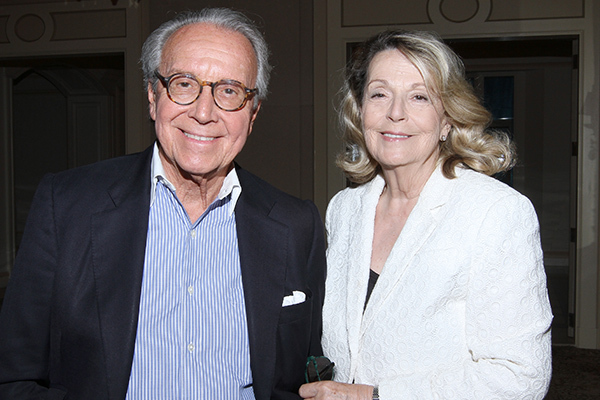 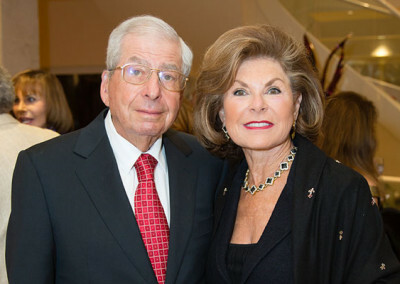 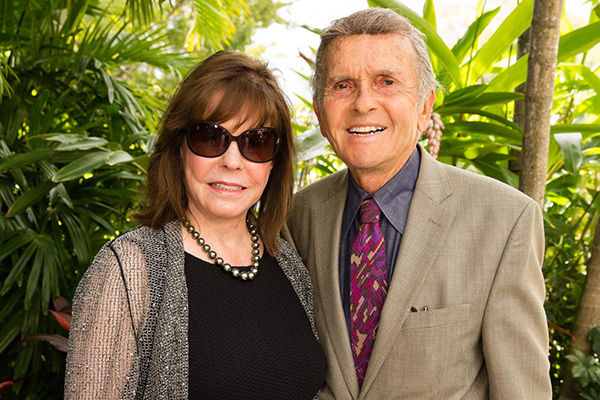 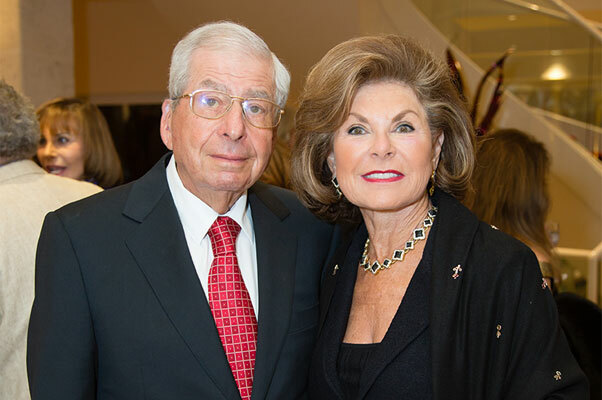 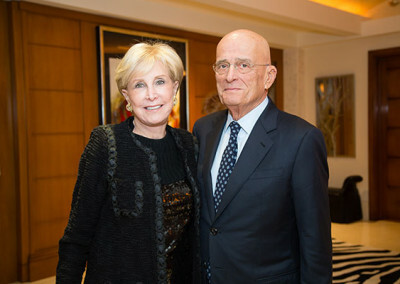 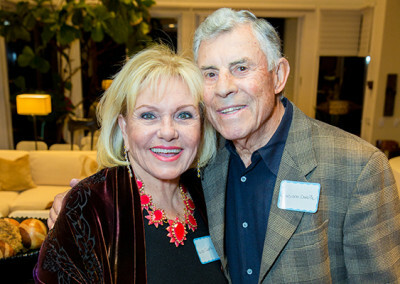 Benefit Host and Wallenberg Committee Co-Chairs Nancy and Peter Brown were also Silver Benefactor Fellowship Donors. 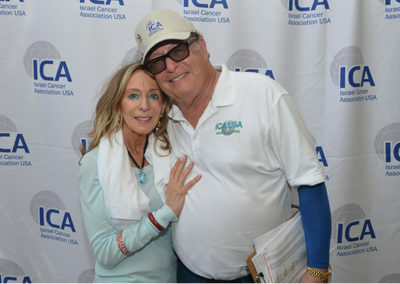 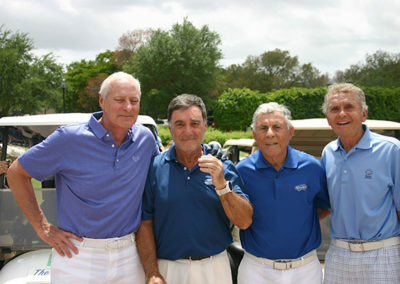 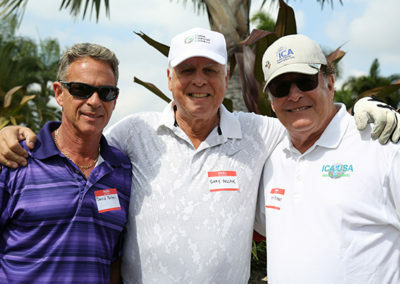 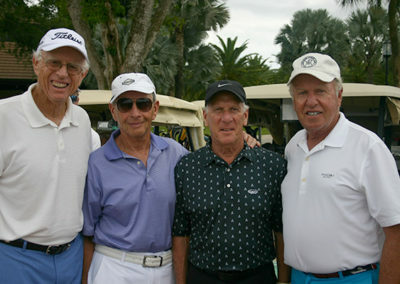 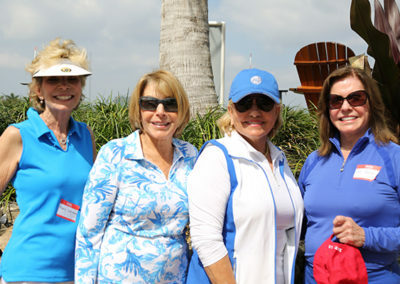 Local Residents come out Swinging for Israeli Cancer Researchers April 11, 2016, Boca Raton FL- More than 90 enthusiastic golfers from Palm Beach County joined together for the Israel Cancer Association USA (ICA USA) 7th Annual Golf Classic held at the Boca Grove Golf and Tennis Club, in Boca Raton. 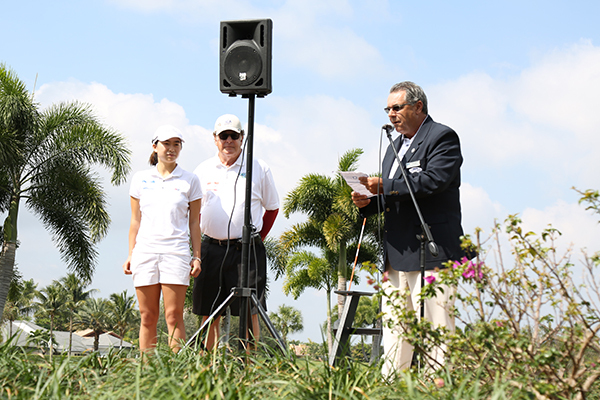 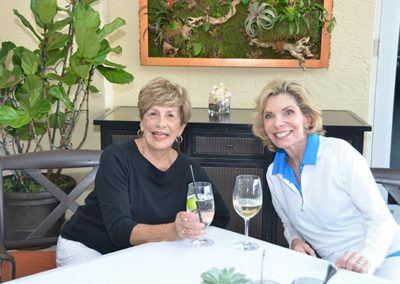 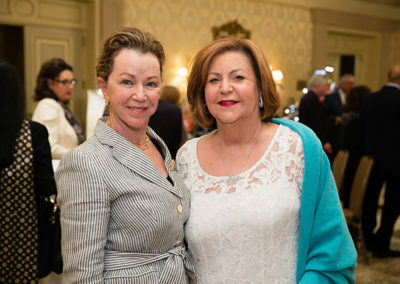 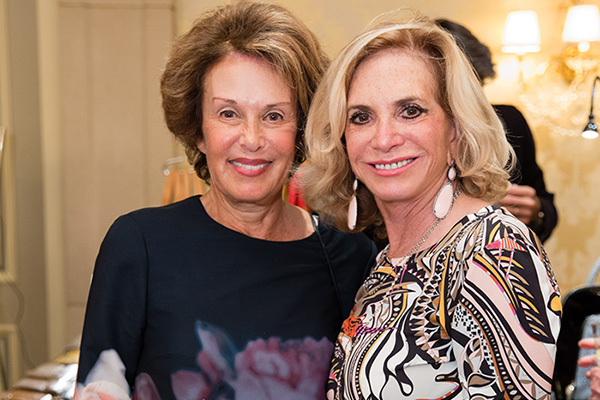 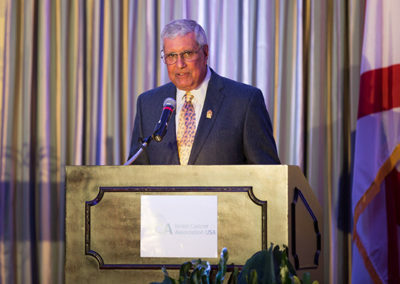 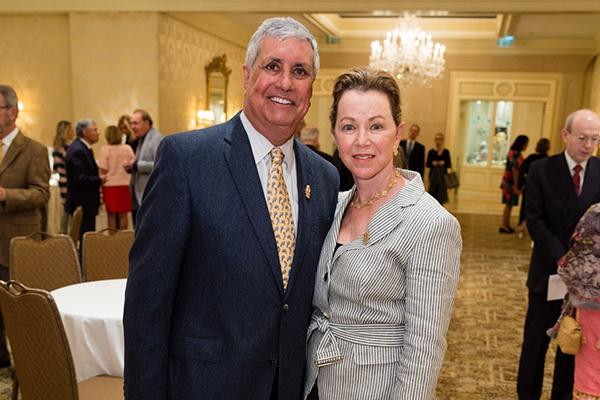 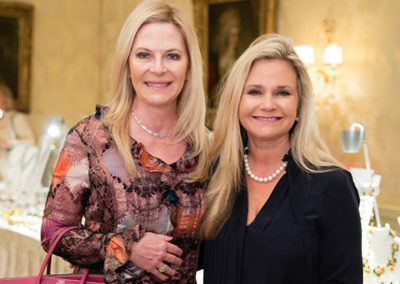 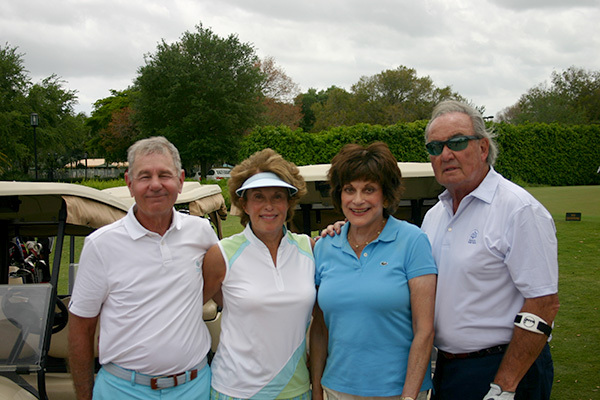 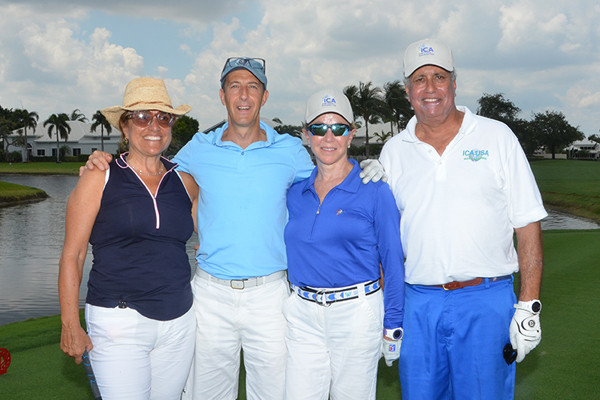 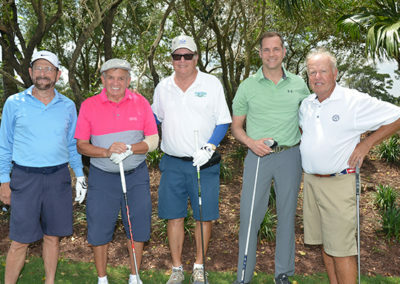 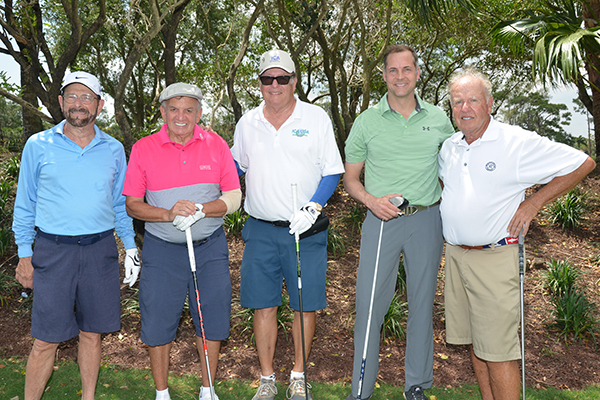 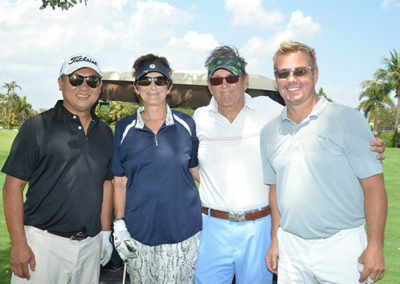 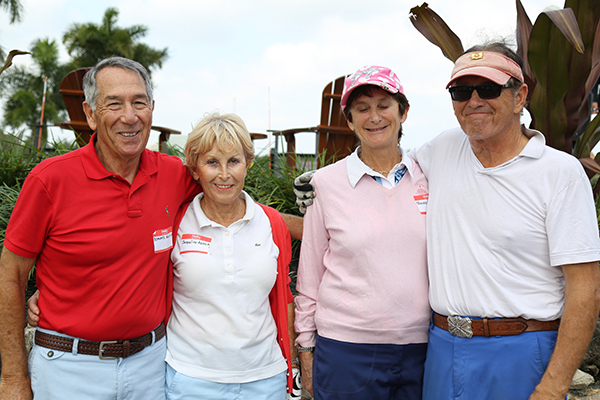 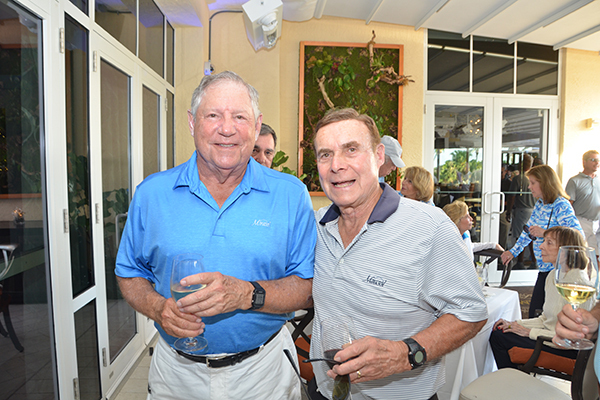 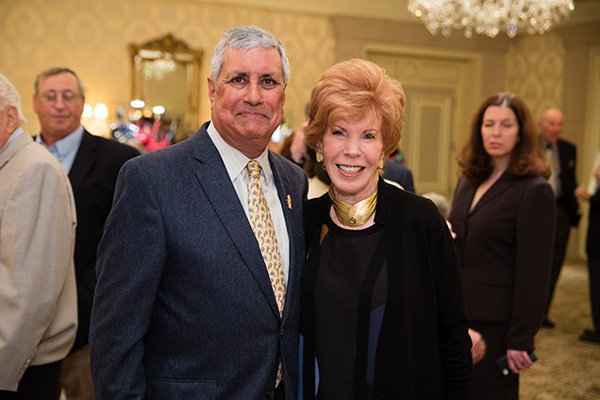 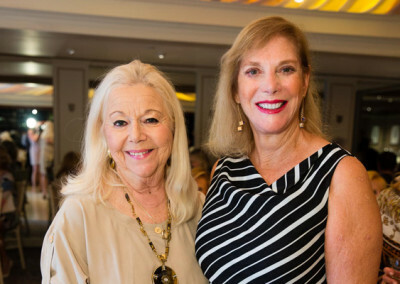 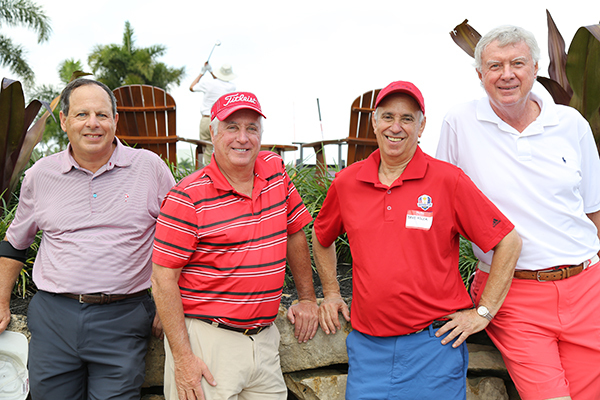 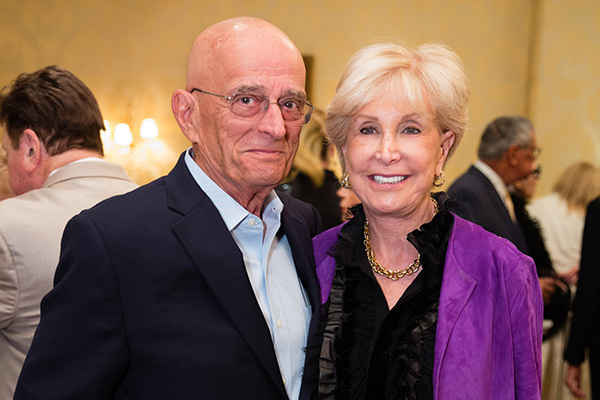 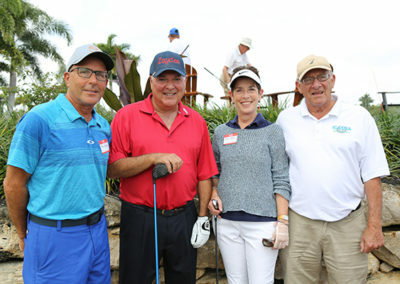 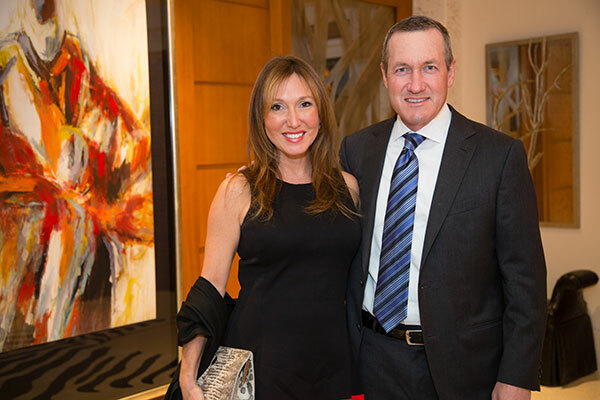 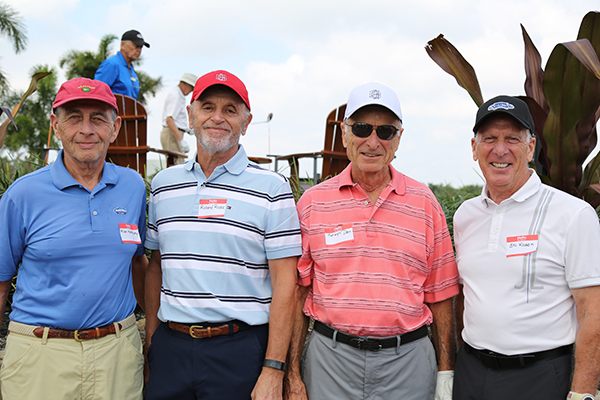 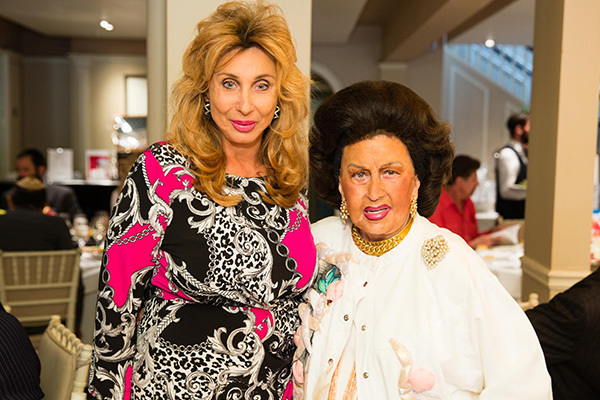 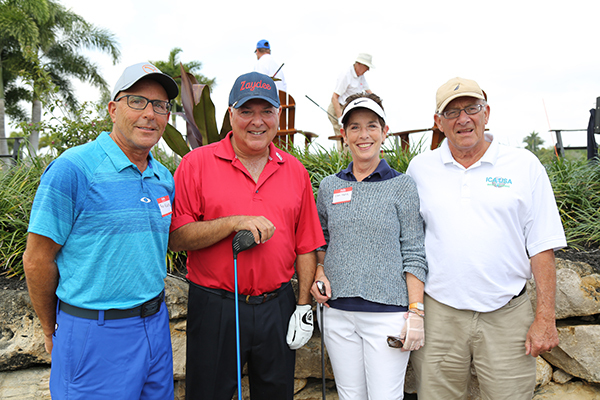 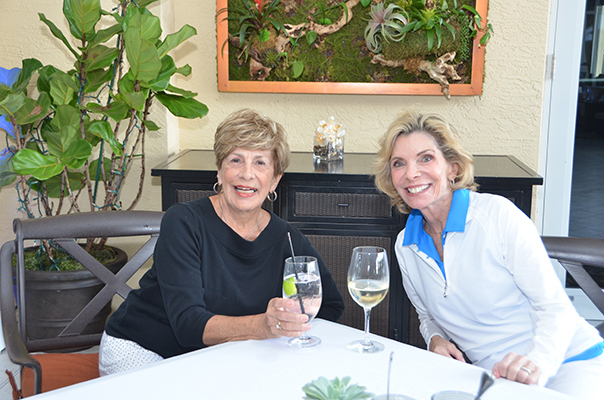 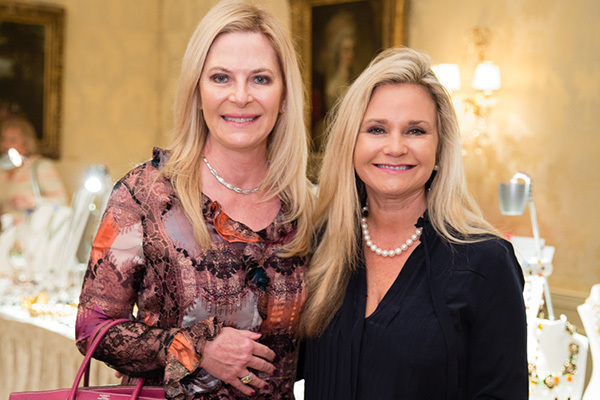 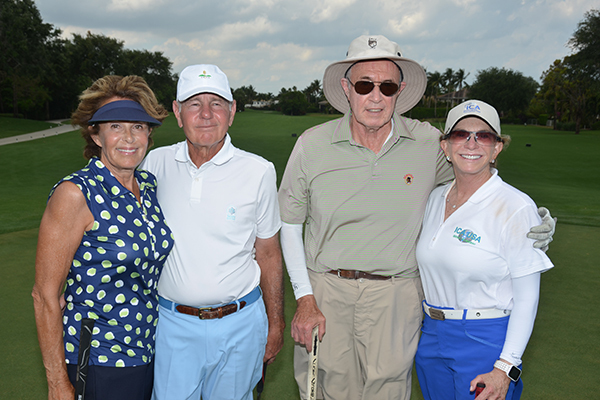 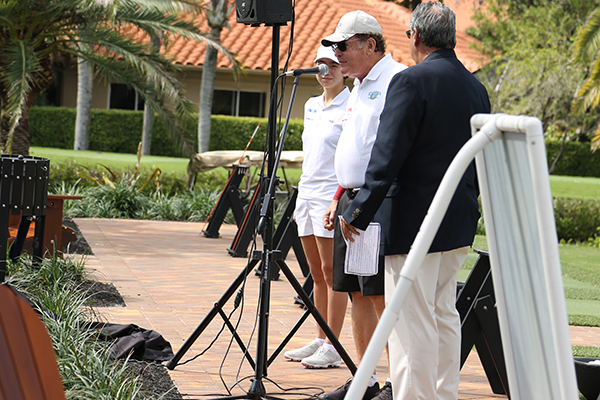 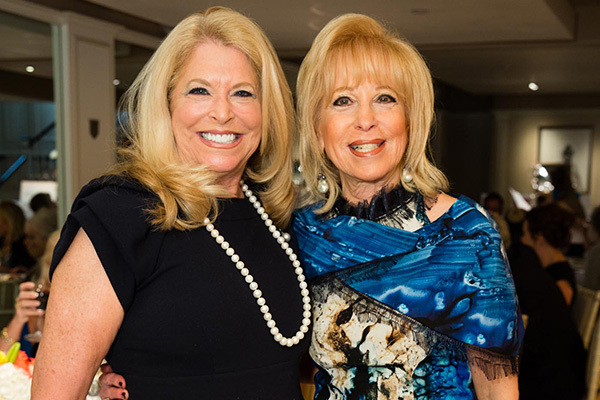 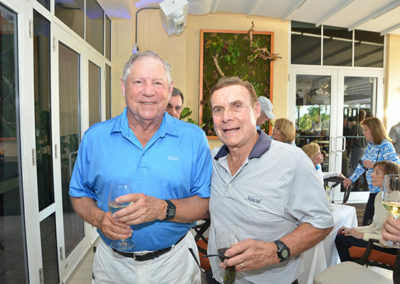 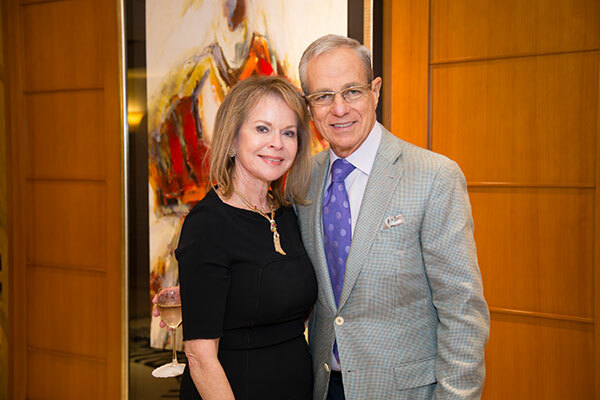 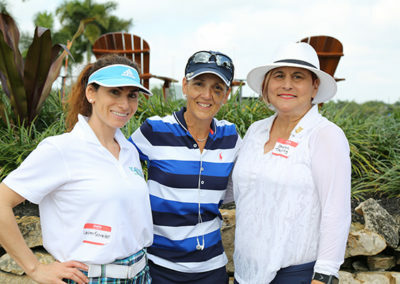 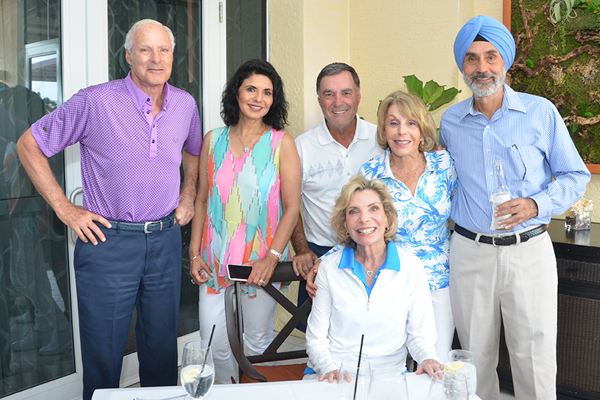 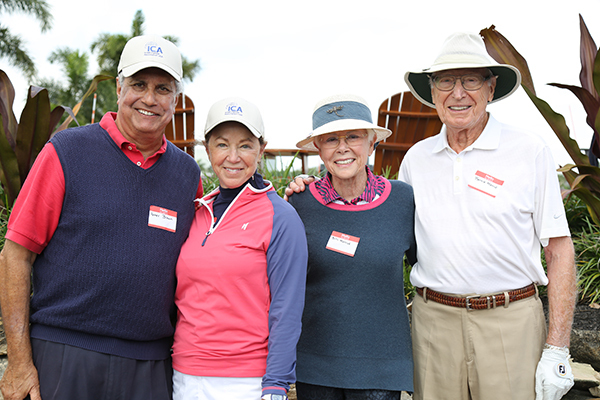 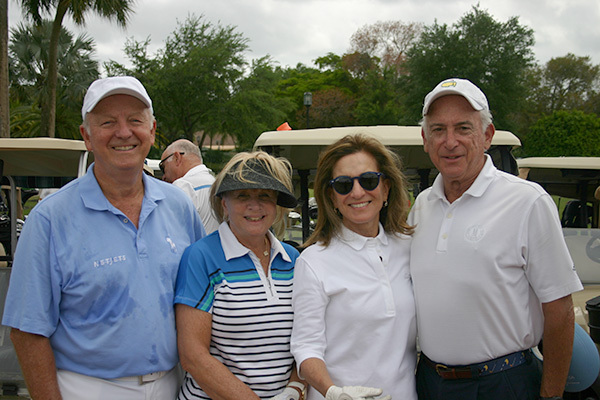 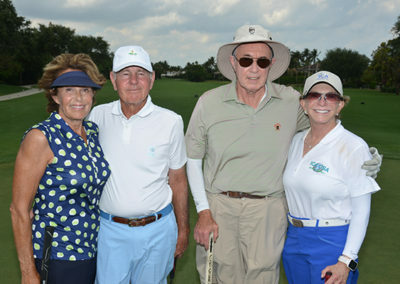 Co-chaired by Boca Raton’s Steve Melman and Phyllis Liss, the day-long fundraiser was filled with a myriad of fun events for participants, including lunch, dinner, awards, a Chinese Raffle, and a live auction of golf carts. 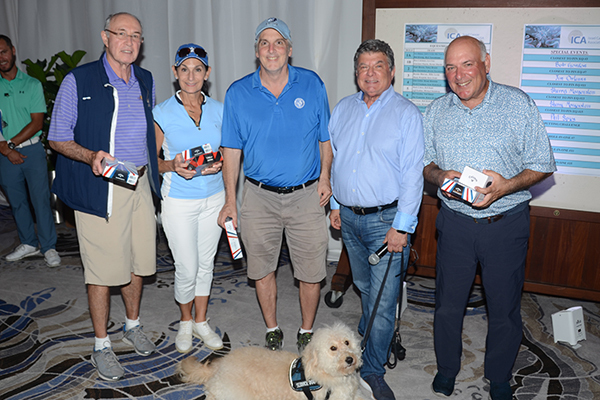 Gross Winners included foursome Glen Golish, Anthony Harris, Steve Cohen and Jim Orleans, as well as foursome Joan Genser, David Genser, Lauren Schneider and Jeremy Schneider. 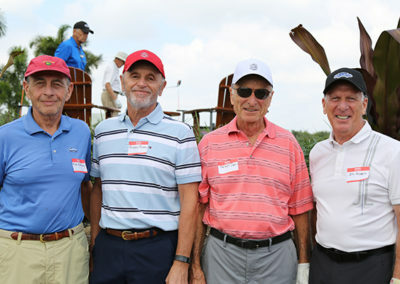 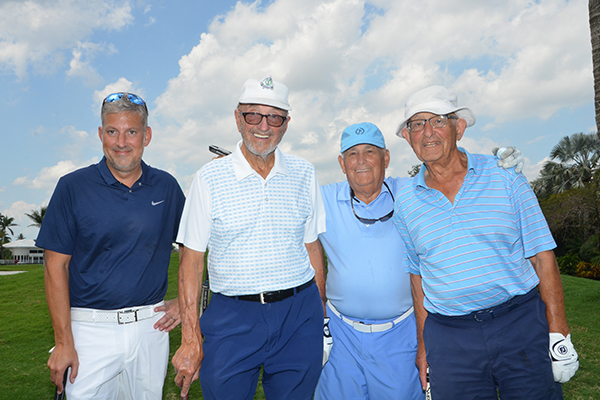 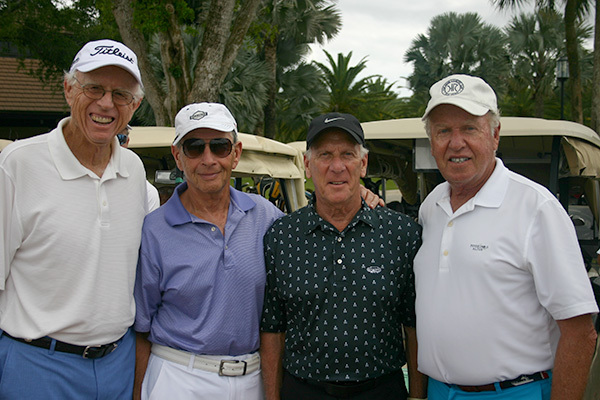 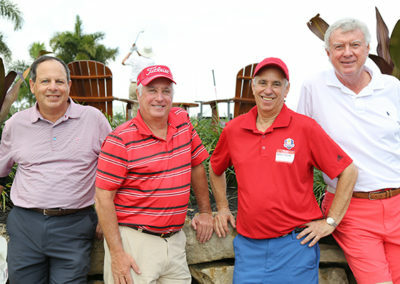 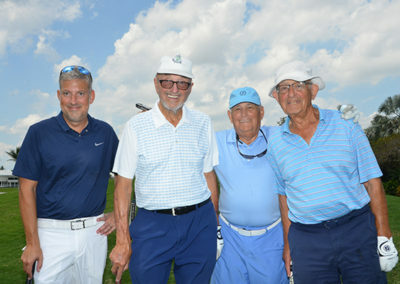 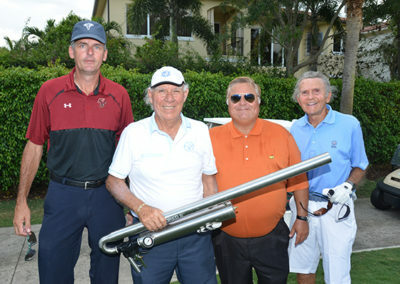 Net Winners included foursome Larry Helfant, Garry Lefferts, Marshall Romanz and Josh Garcia, as well as foursome Jeff Bleustein, Howard Schnoll, Harvey Bock and Ken Plavnick. 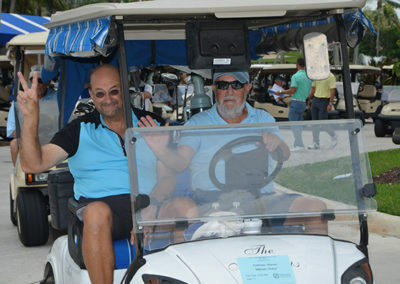 Steve Melman bought a golf cart at the live auction. 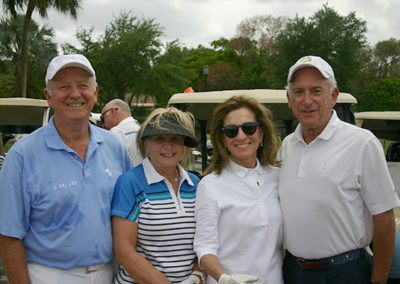 Raffle winners included Nancy Brown, Peter Brown and Jerry Reich. 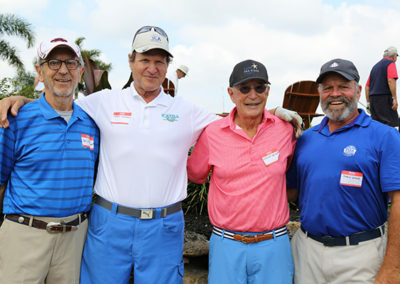 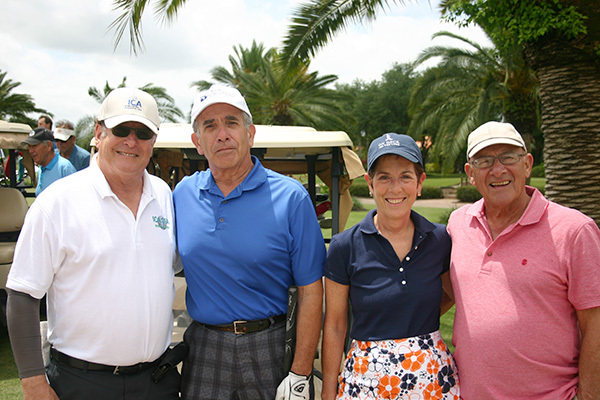 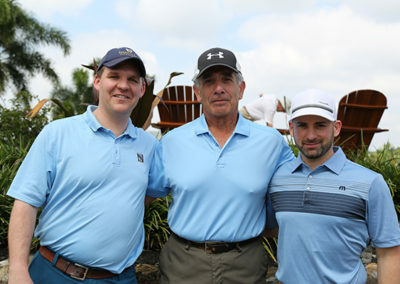 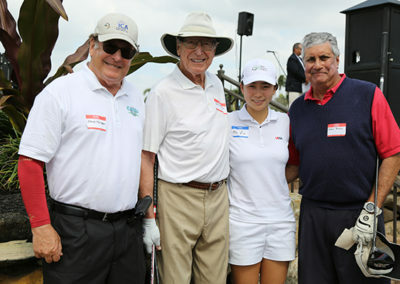 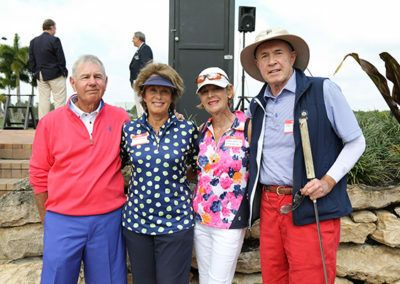 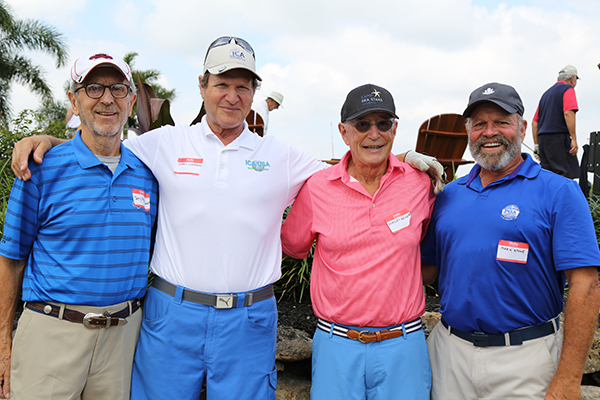 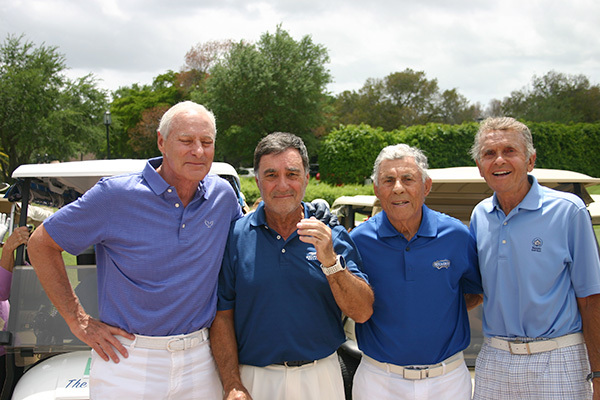 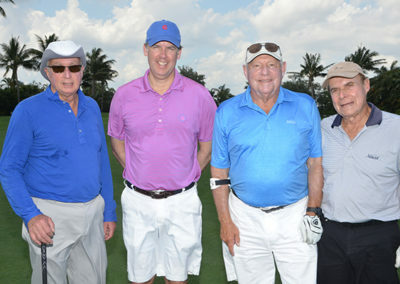 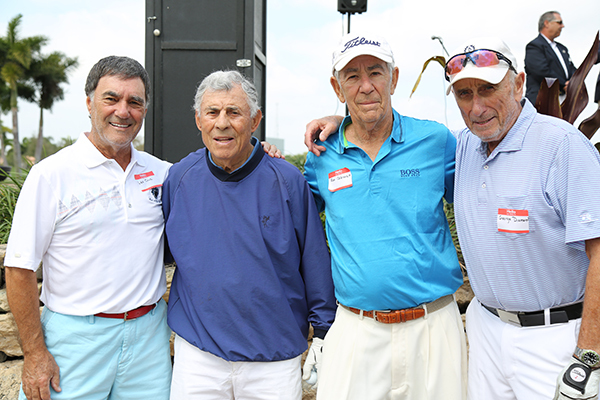 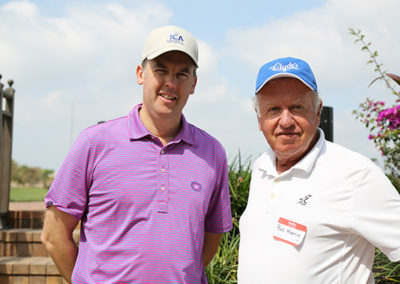 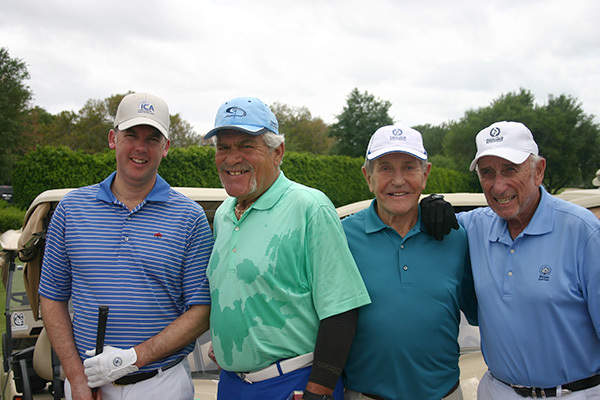 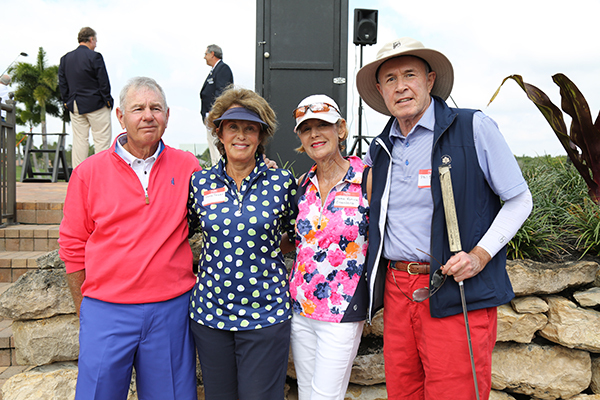 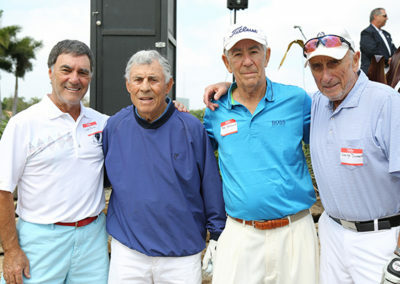 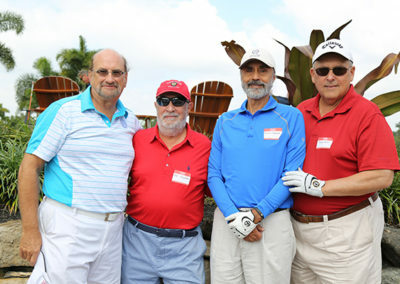 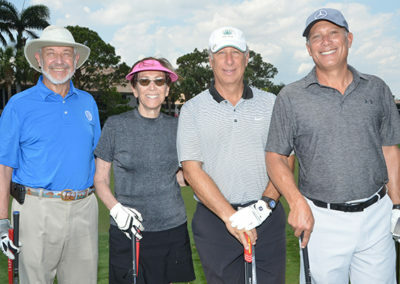 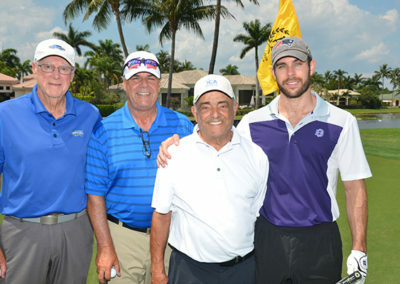 “Everyone came together for an enjoyable day of golf while supporting the finest minds in Israel researching cancer cures,” said Co-chair, Steve Melman. 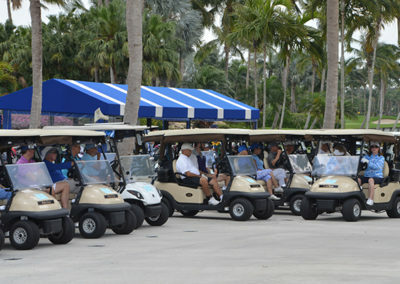 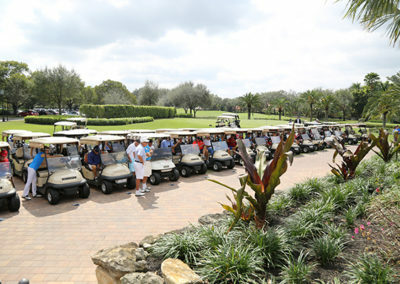 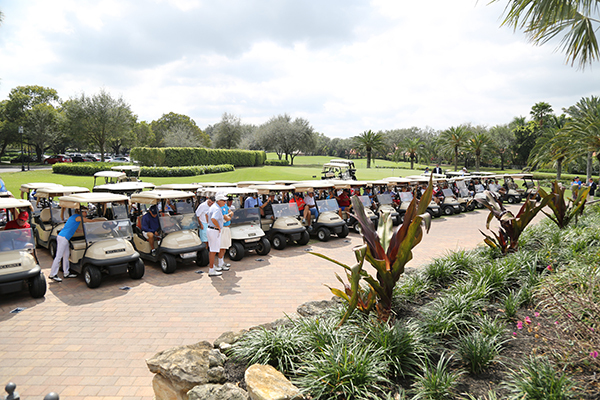 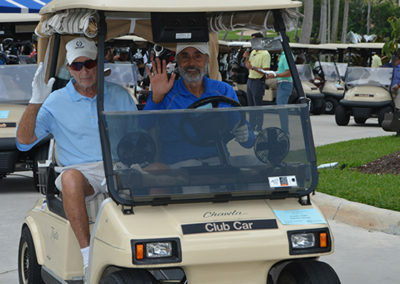 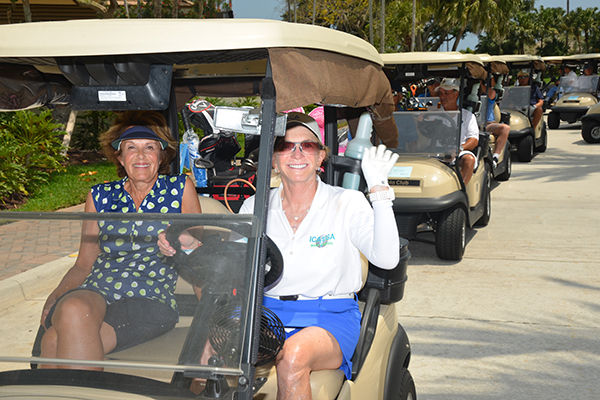 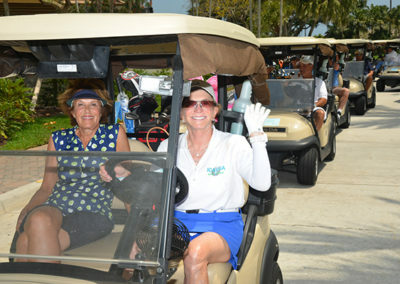 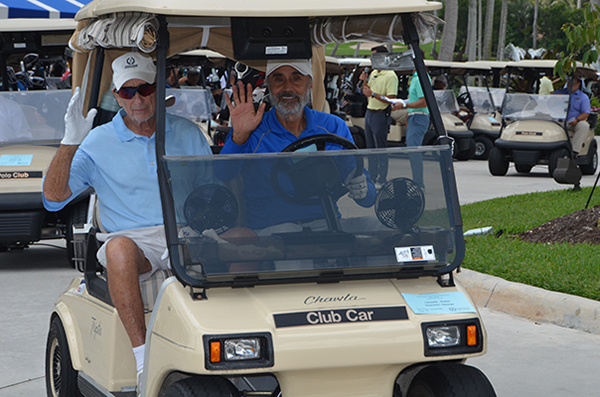 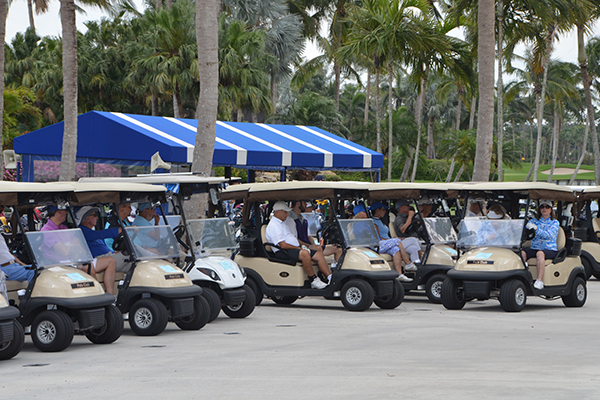 The day was sold out, and ICA USA is grateful to those in the Boca Grove Community who generously loaned us their golf carts. 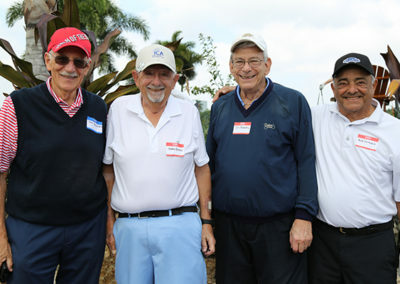 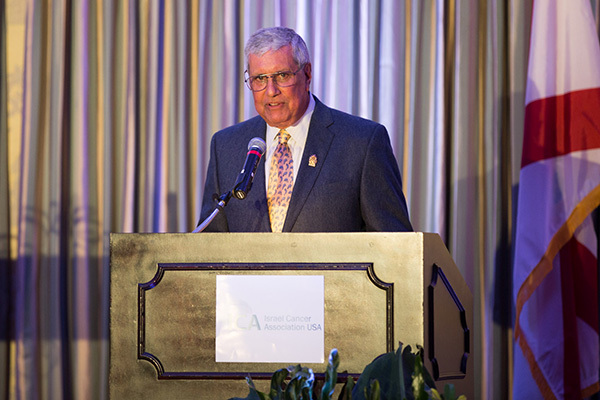 Proceeds from the popular UCA USA Golf Classic go to the real winners: Israeli scientists conducting cancer research on all cancers, who will receive fellowship grants to continue their groundbreaking research.